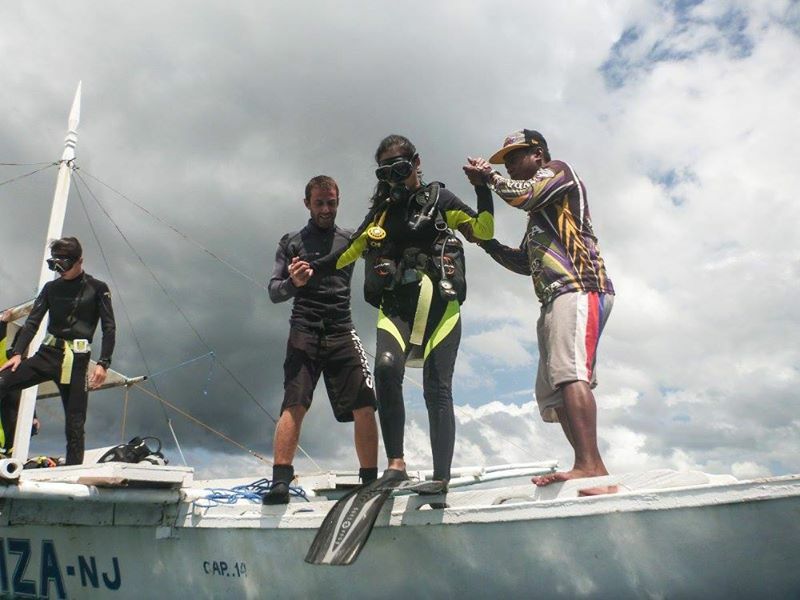 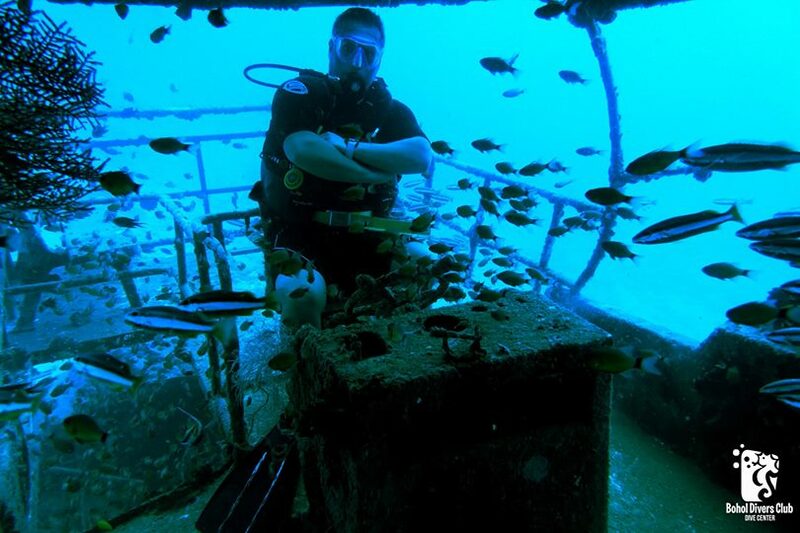 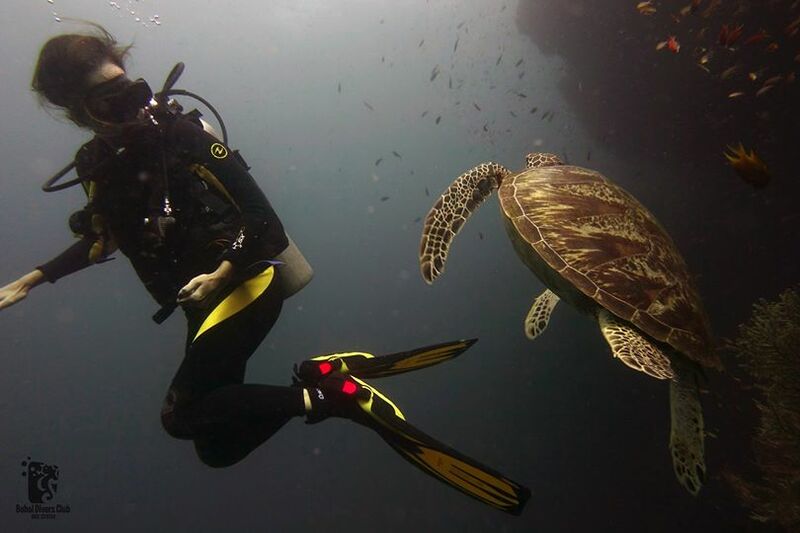 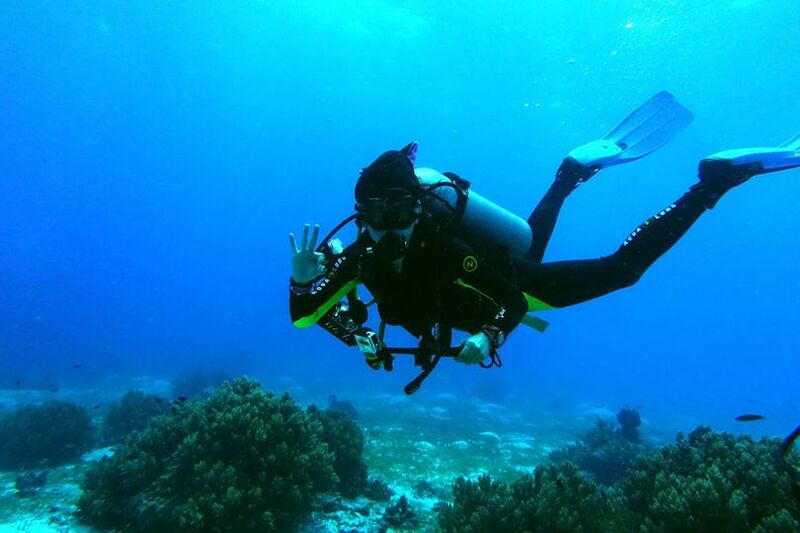 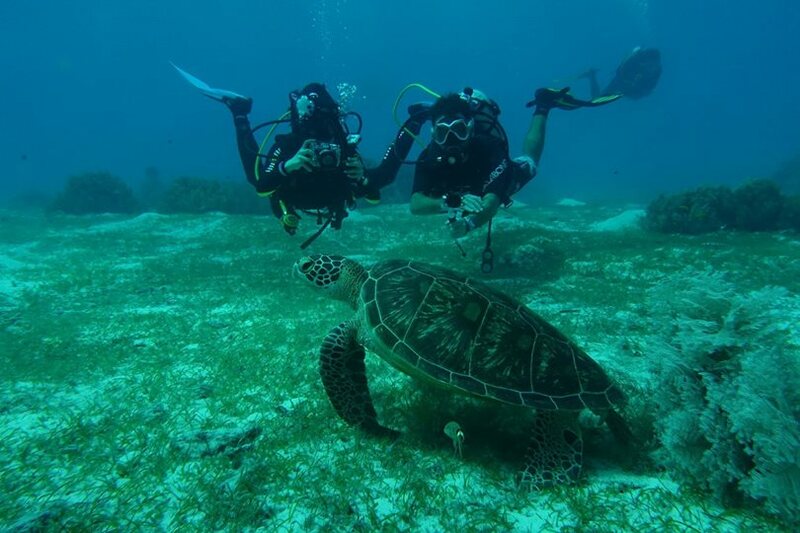 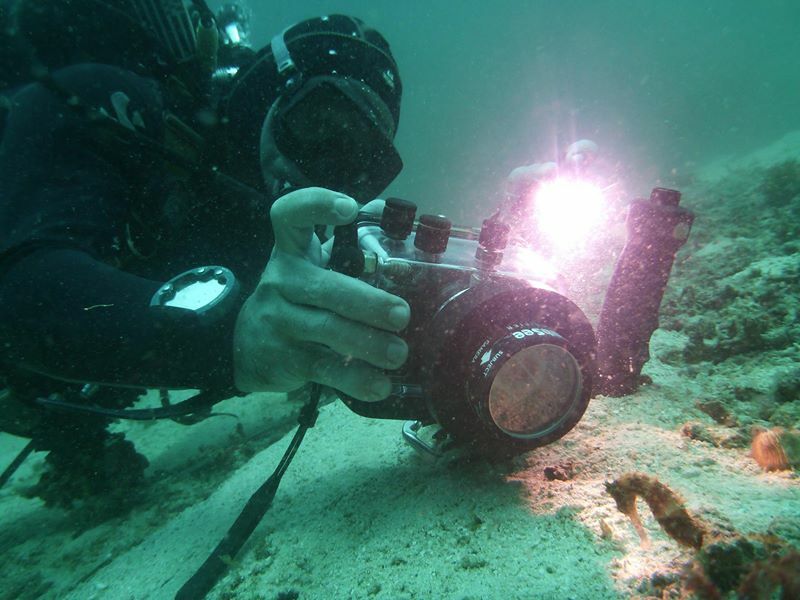 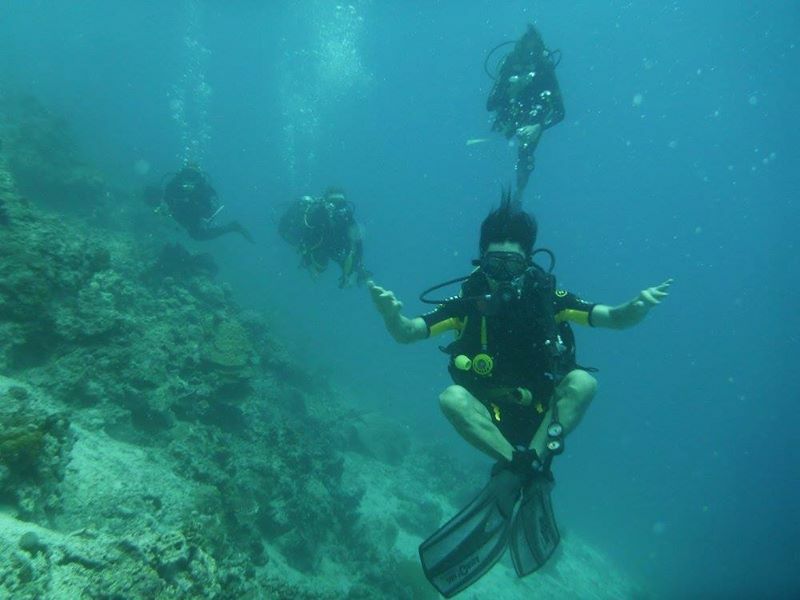 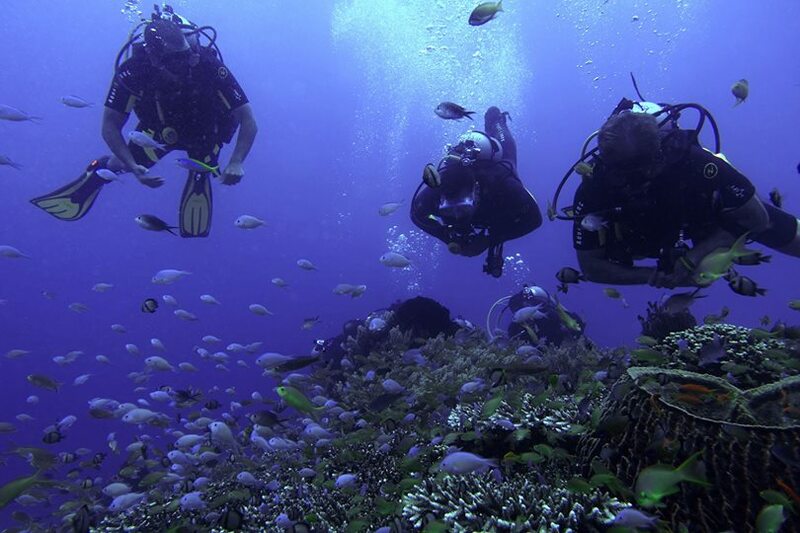 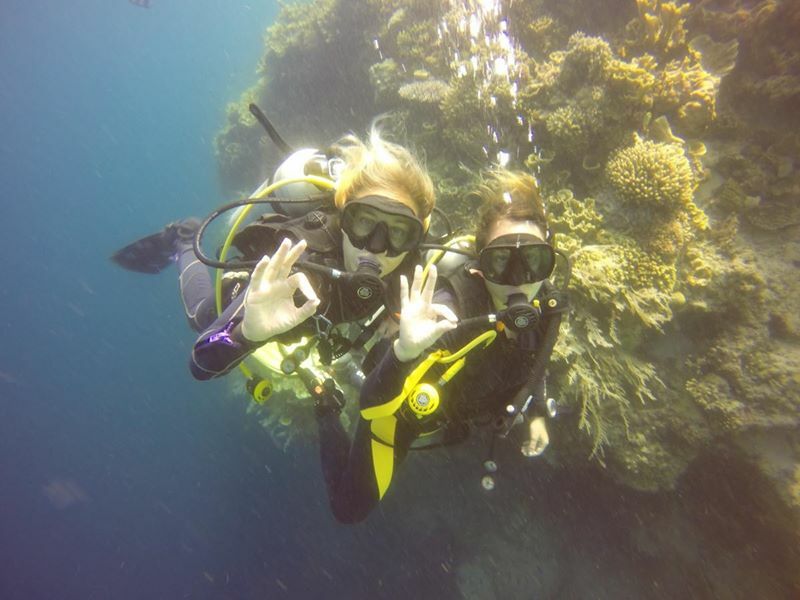 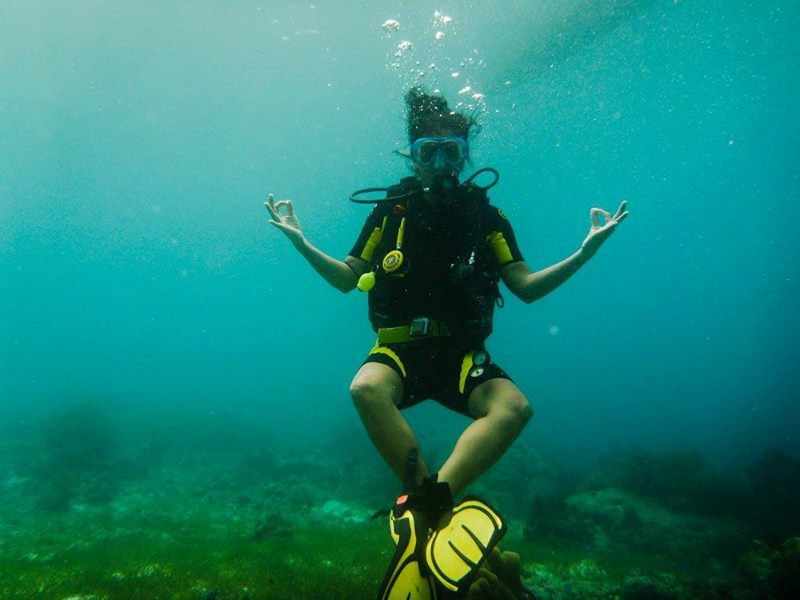 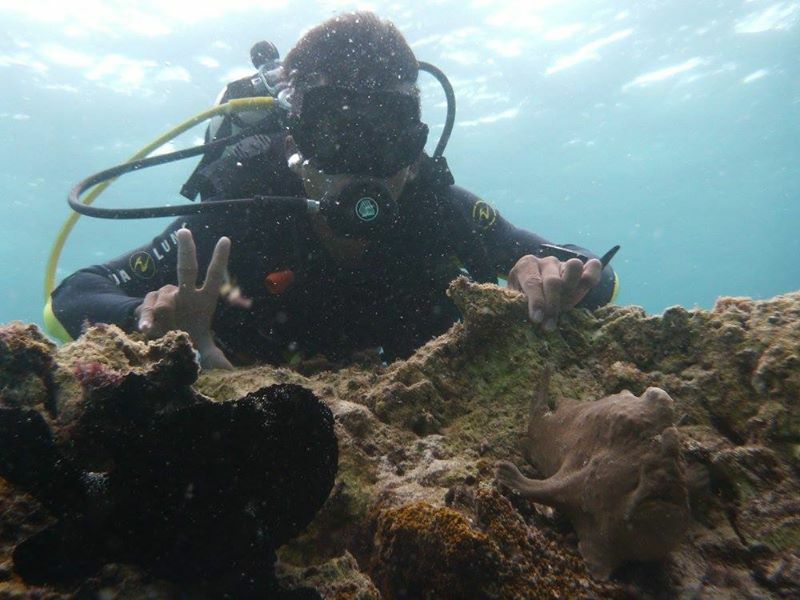 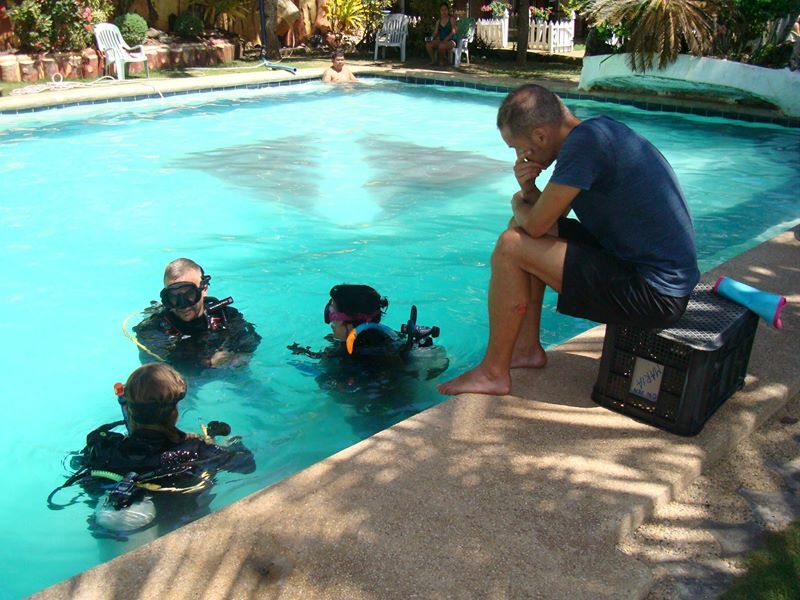 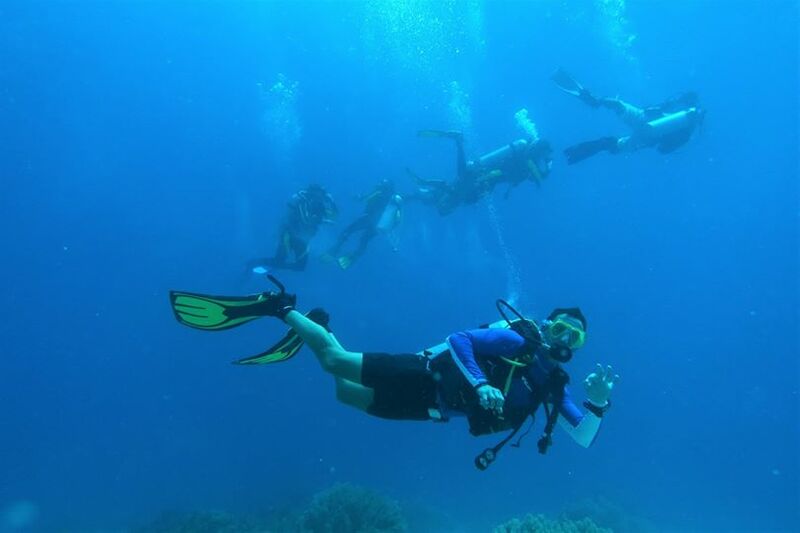 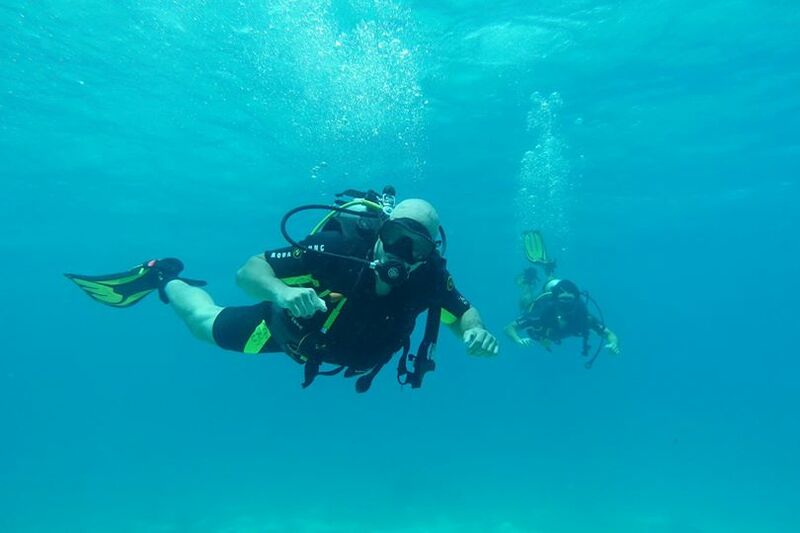 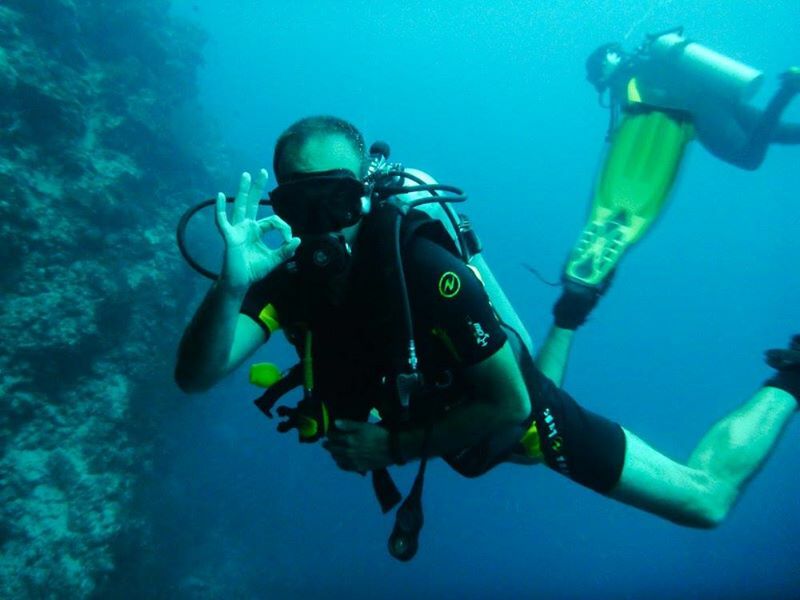 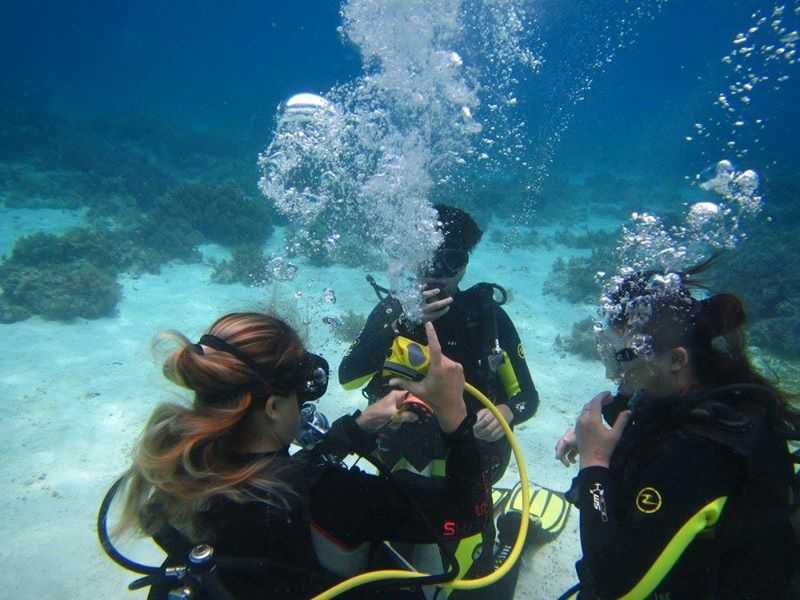 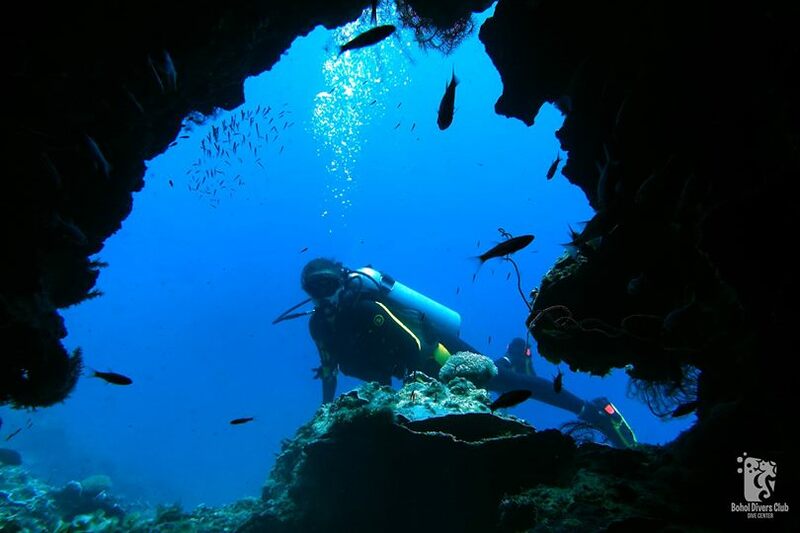 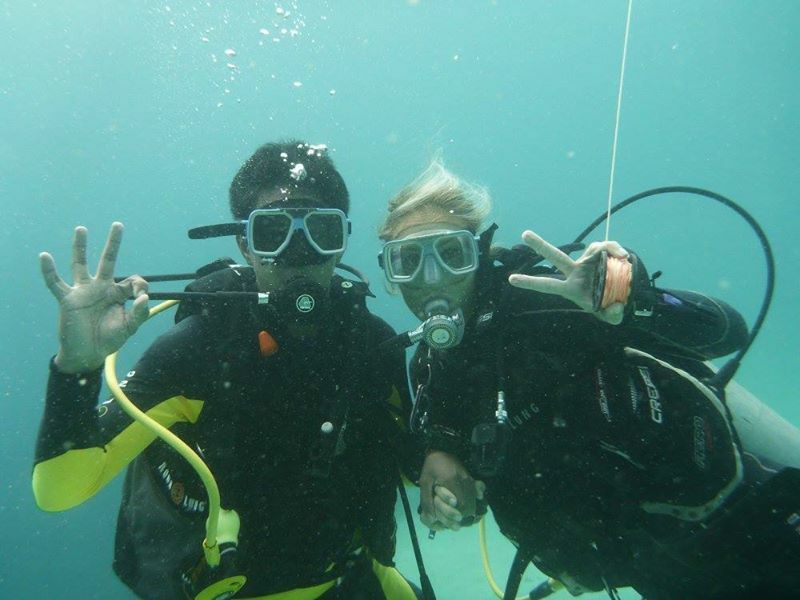 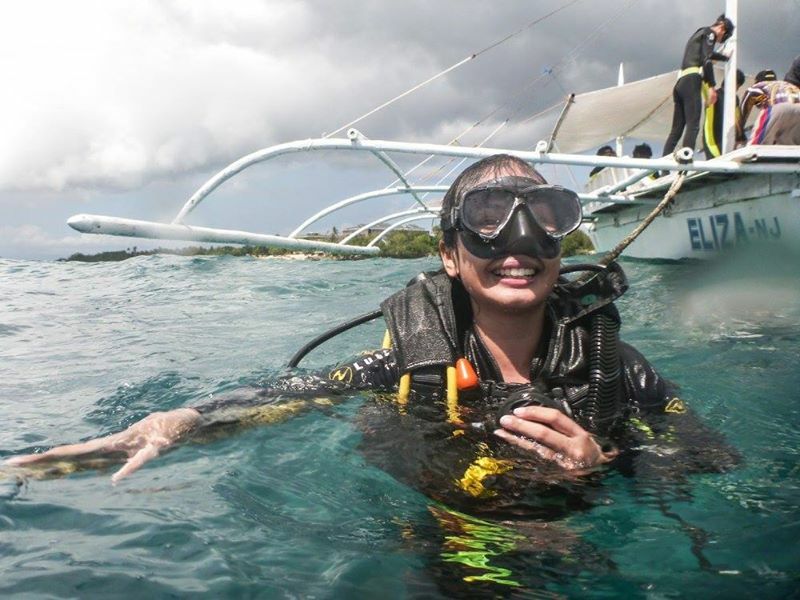 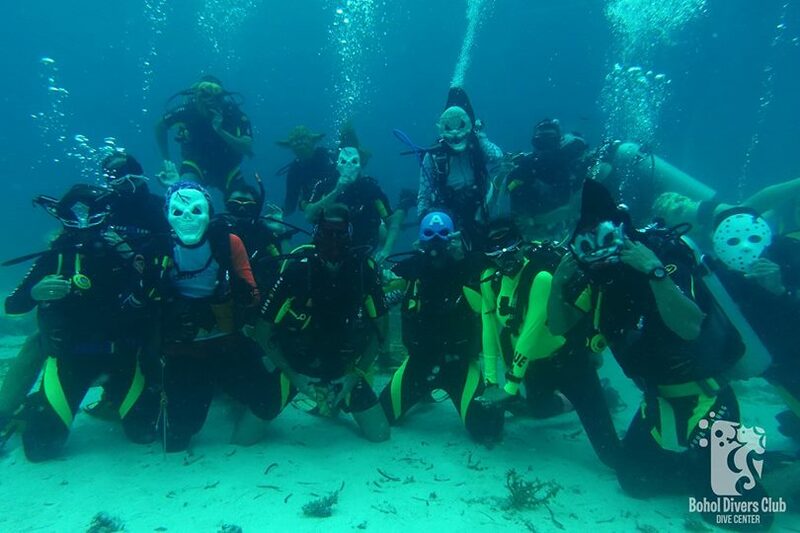 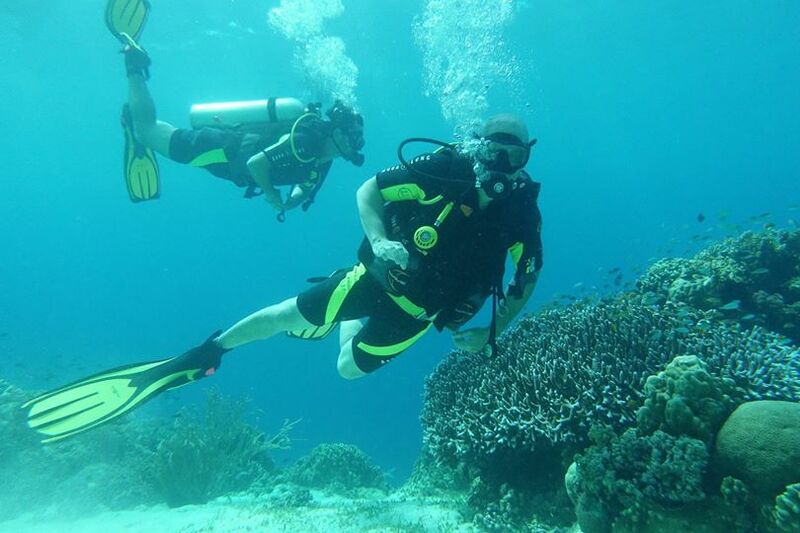 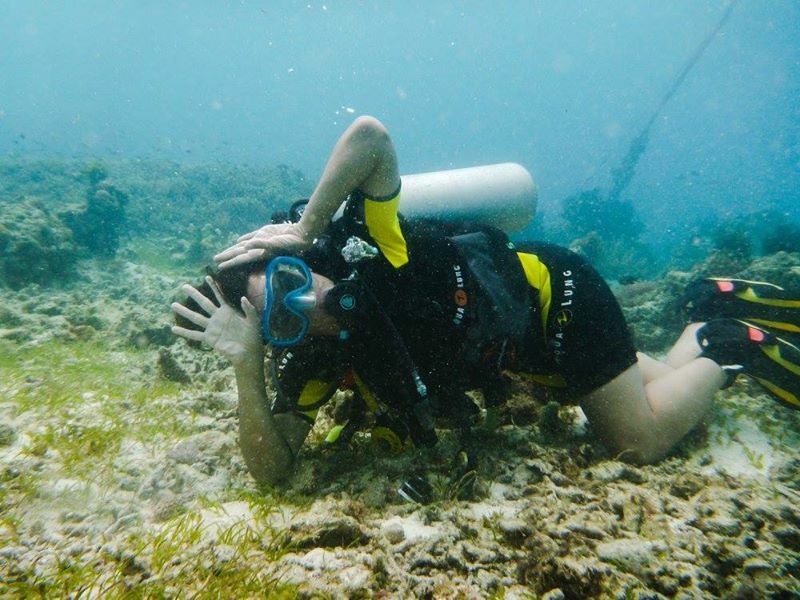 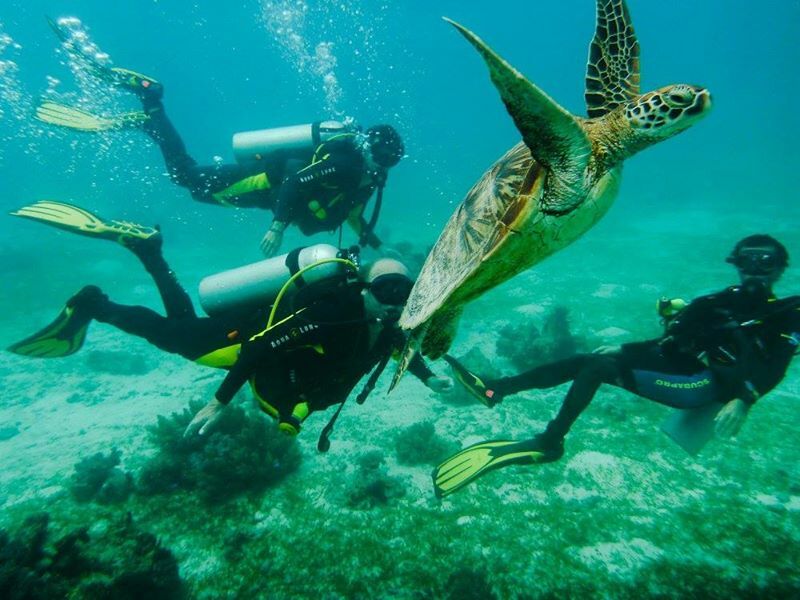 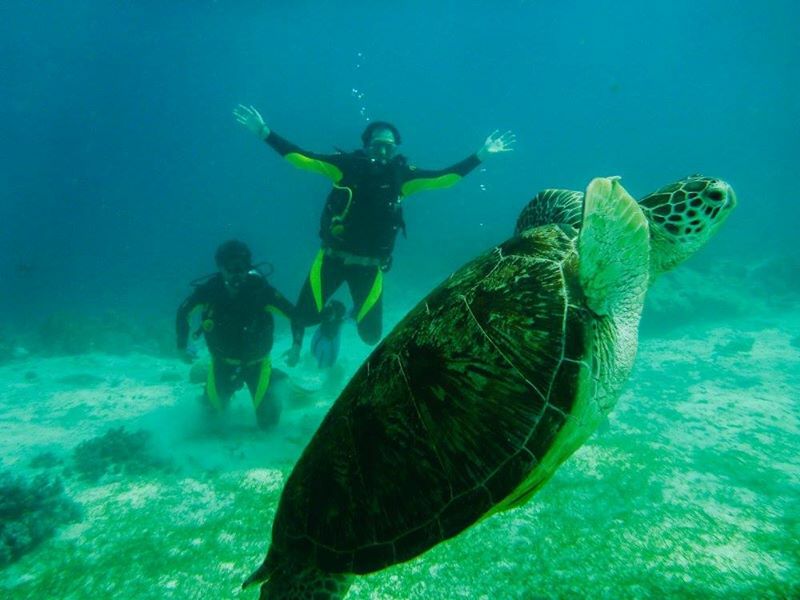 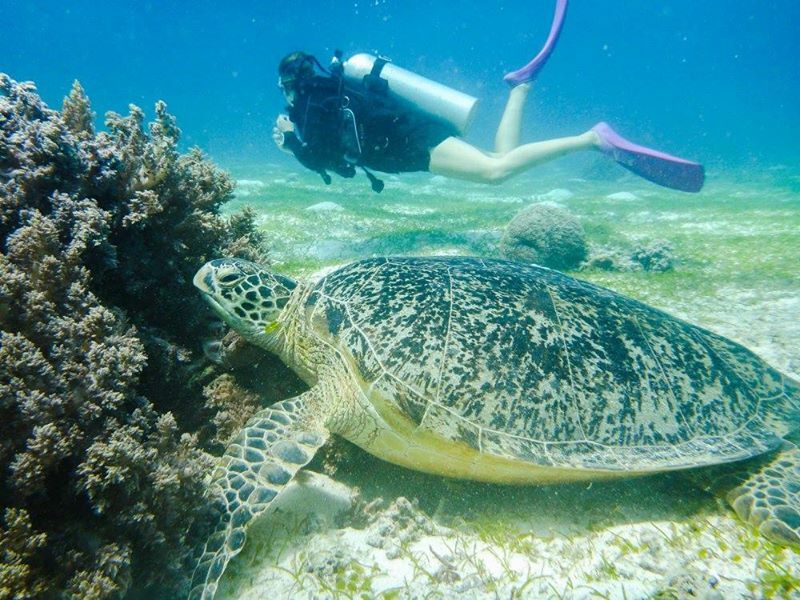 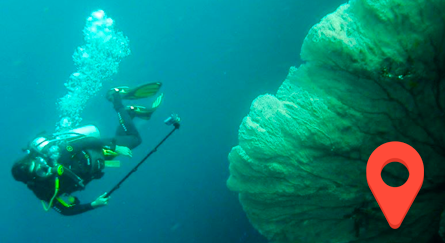 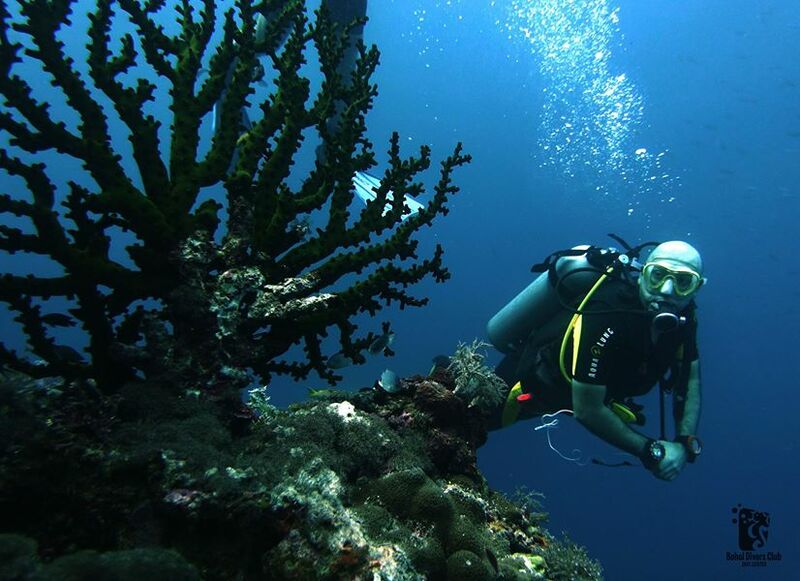 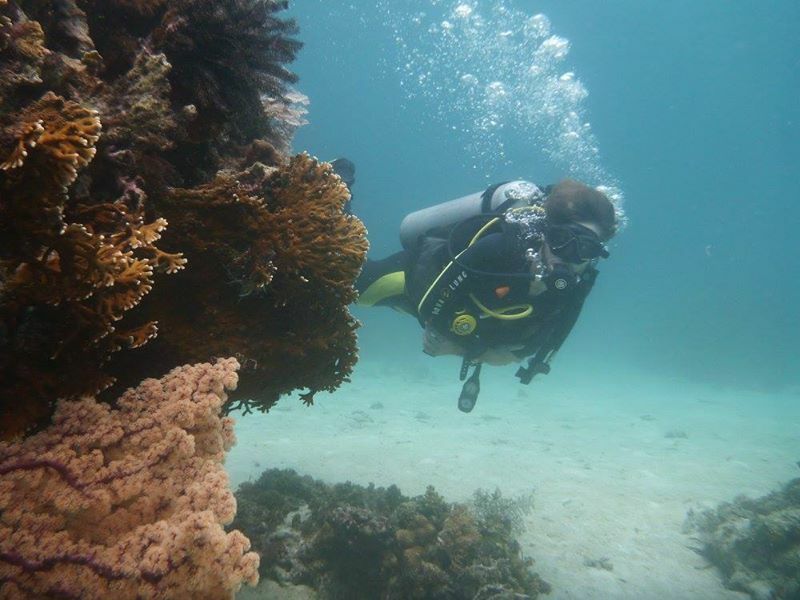 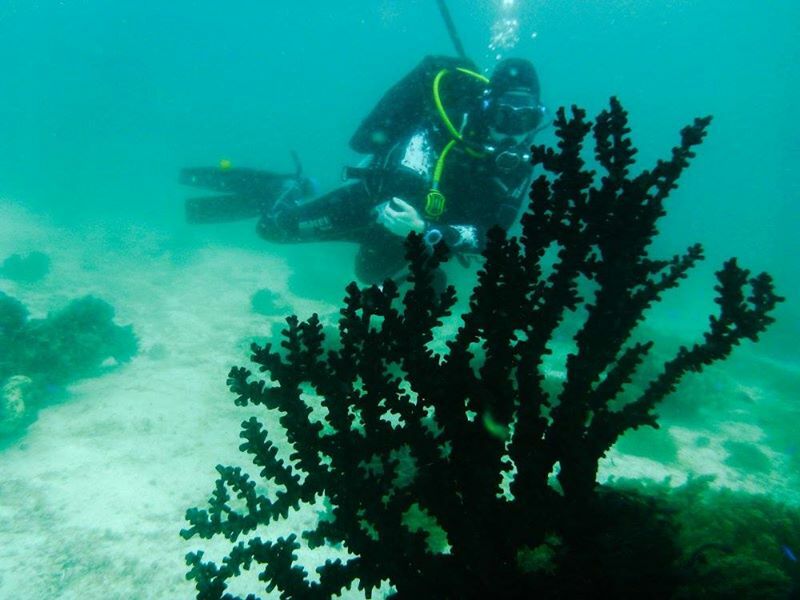 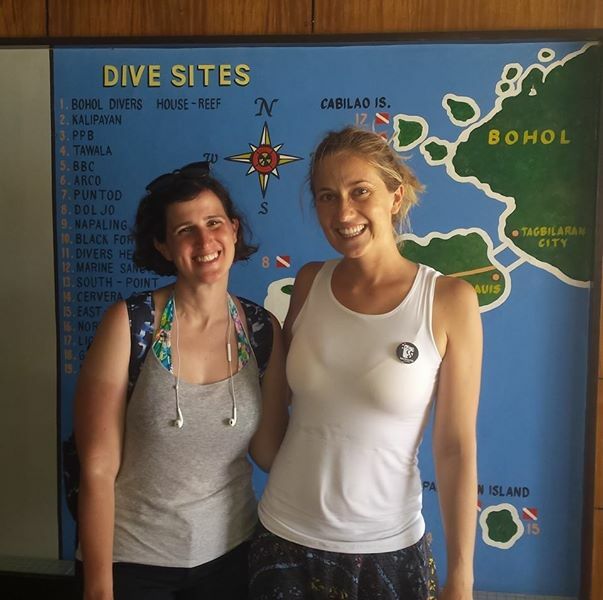 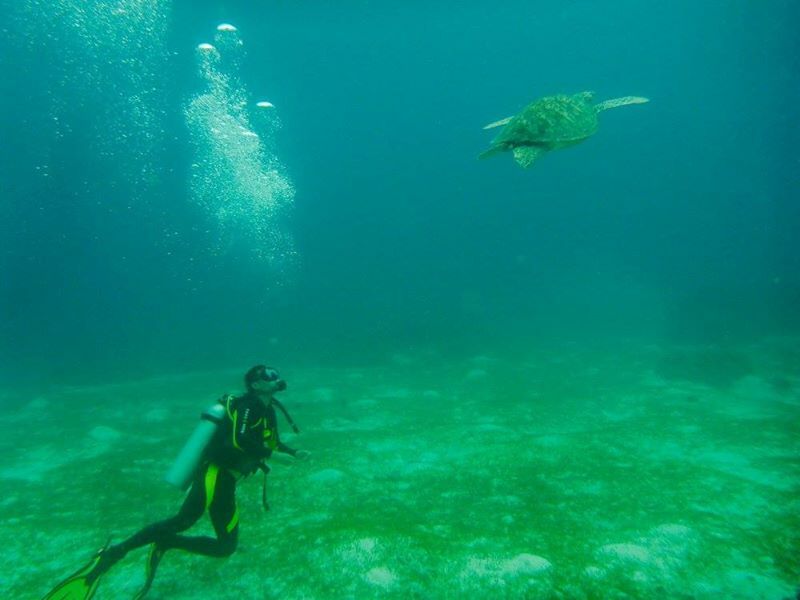 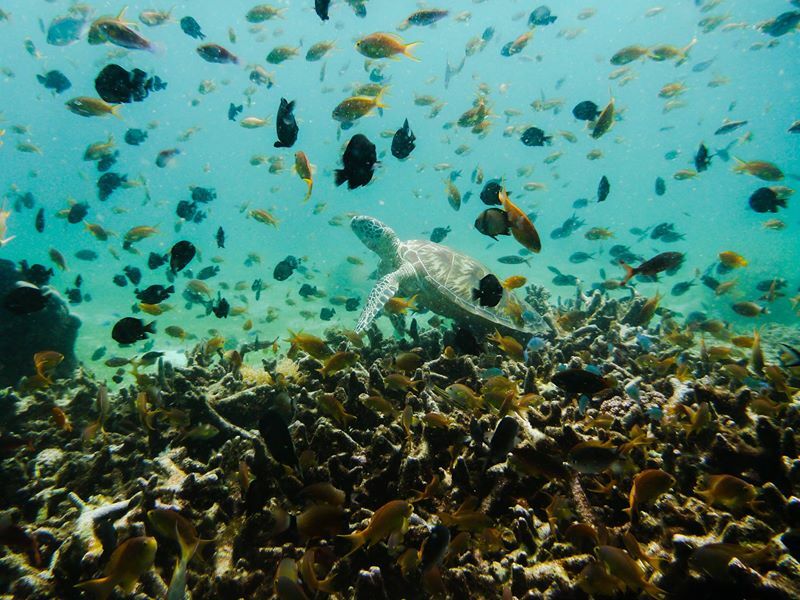 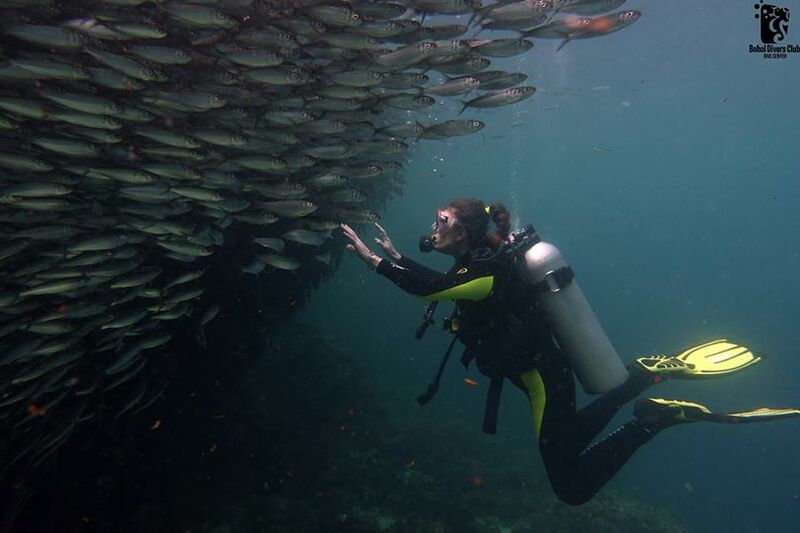 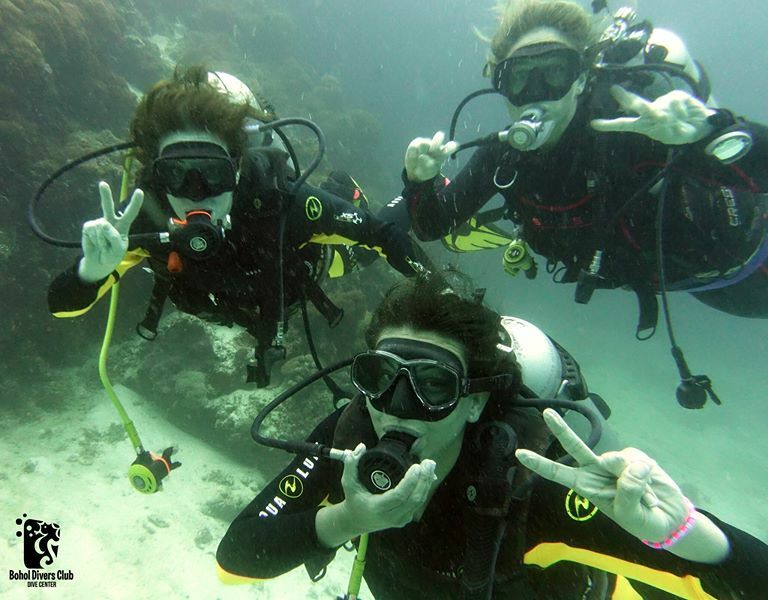 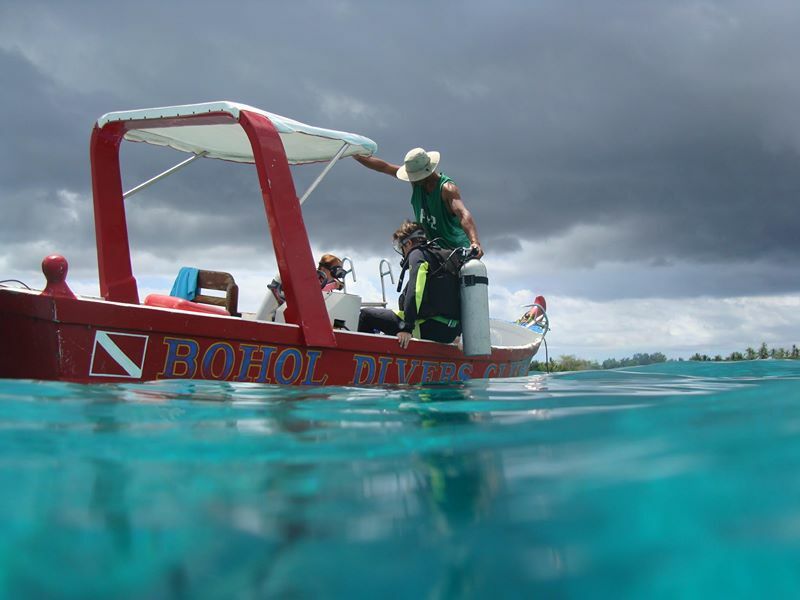 We have several places to do Scuba diving in Bohol, Philippines. 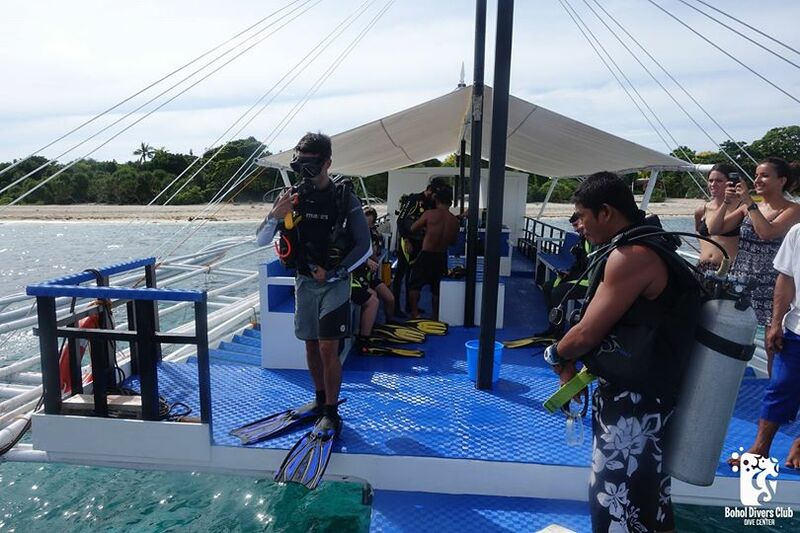 to assist you during your visit to this tropical paradise. 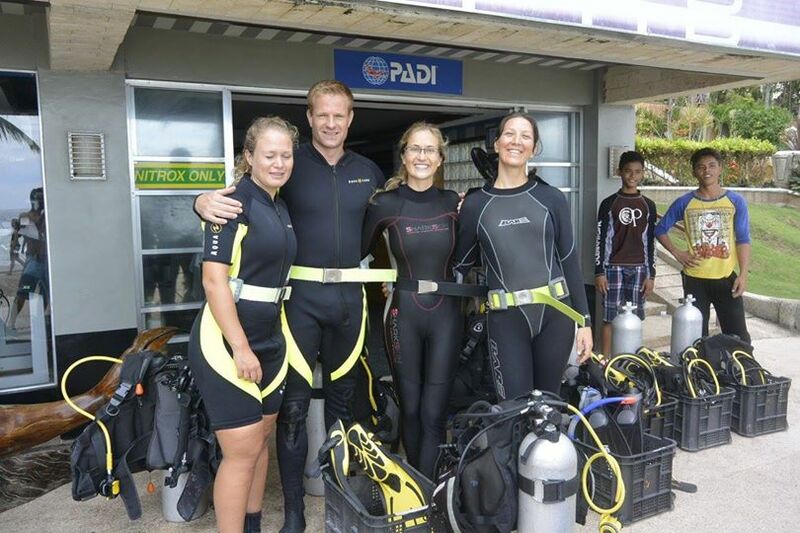 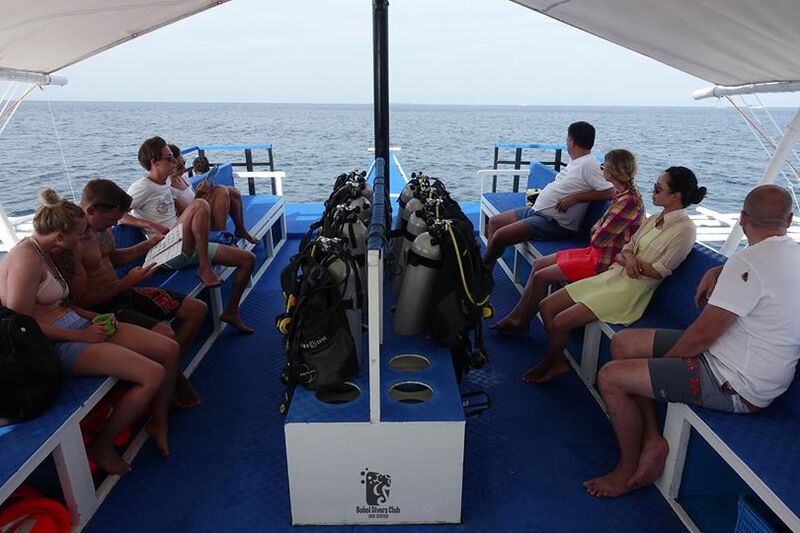 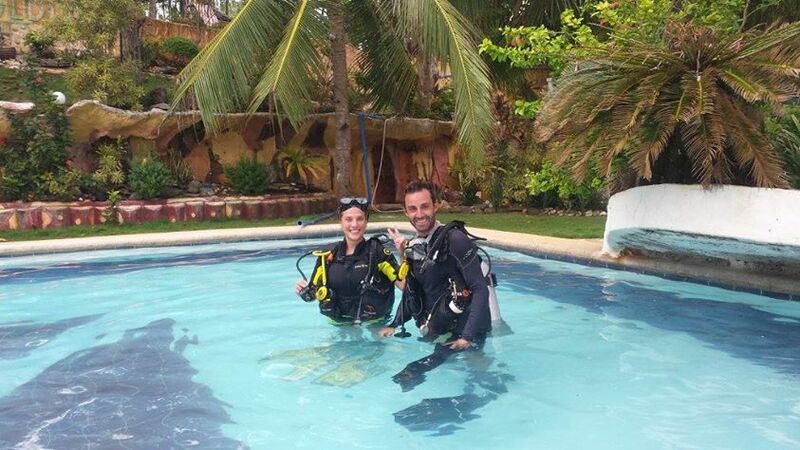 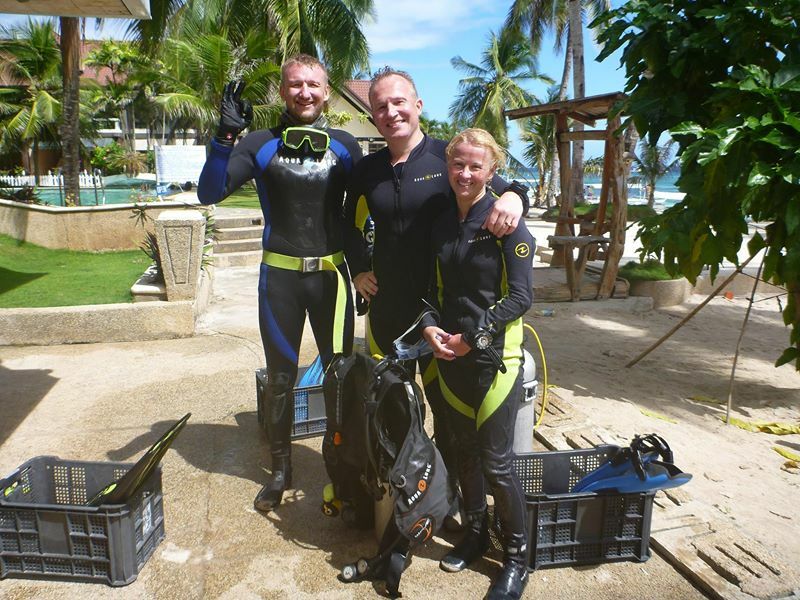 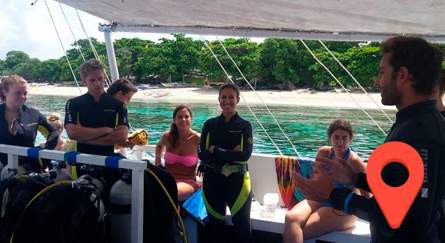 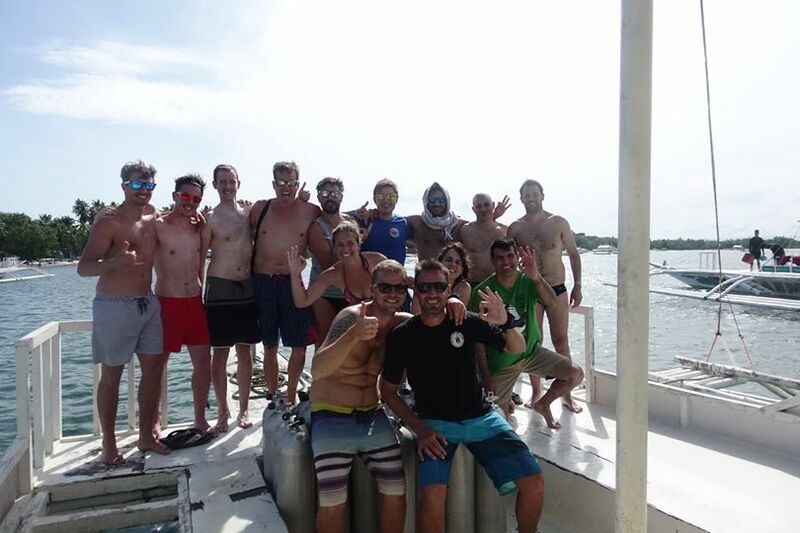 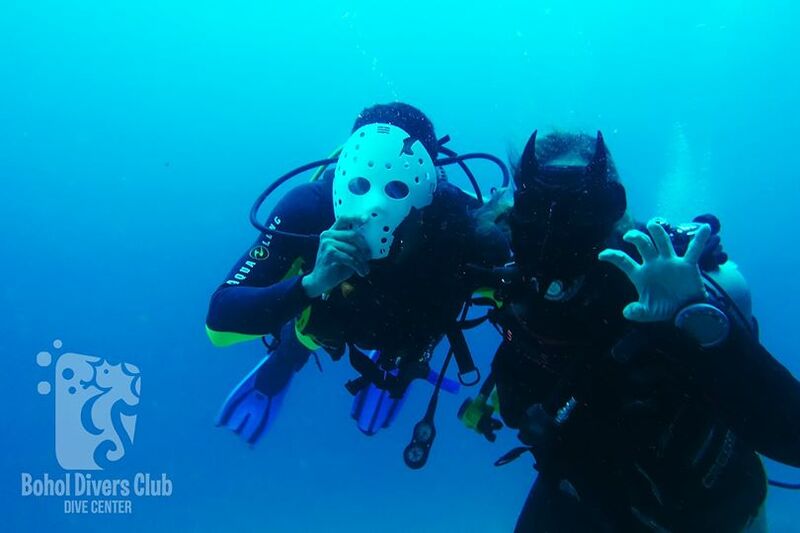 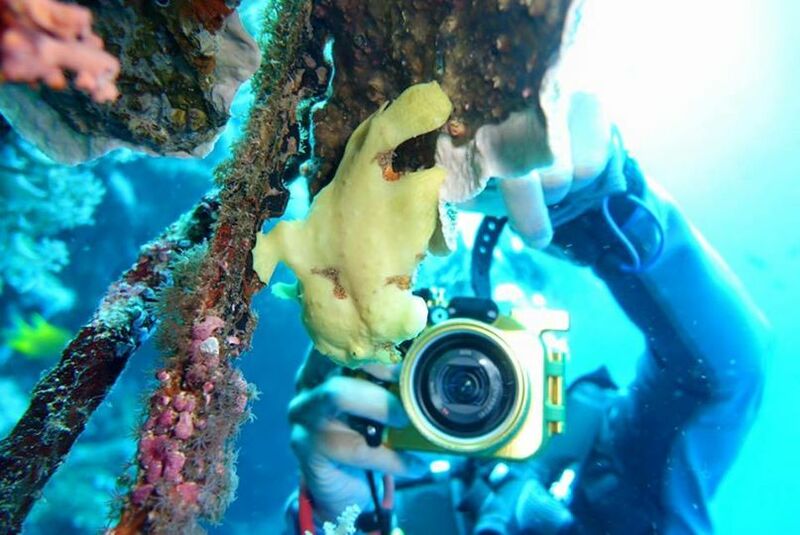 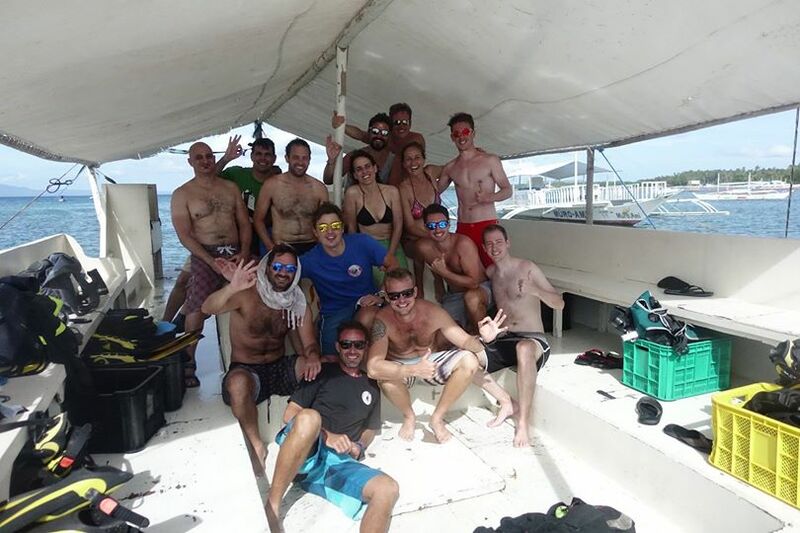 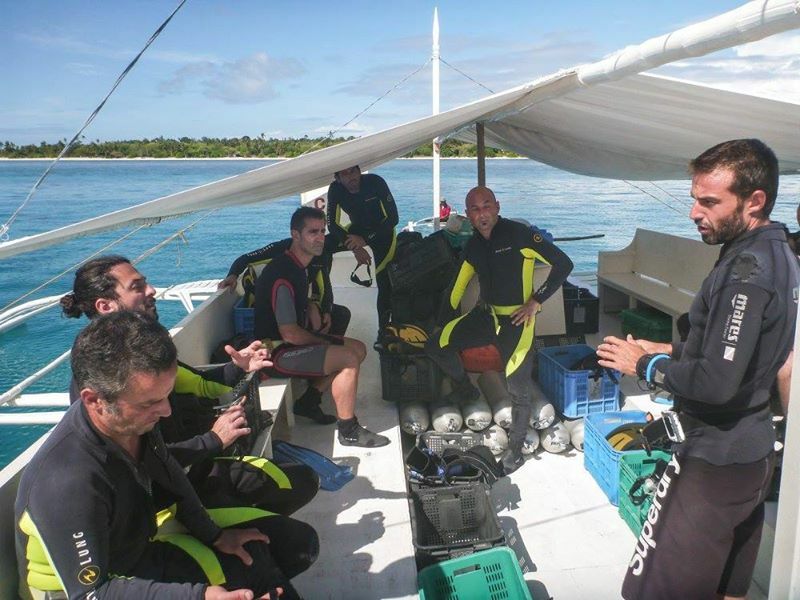 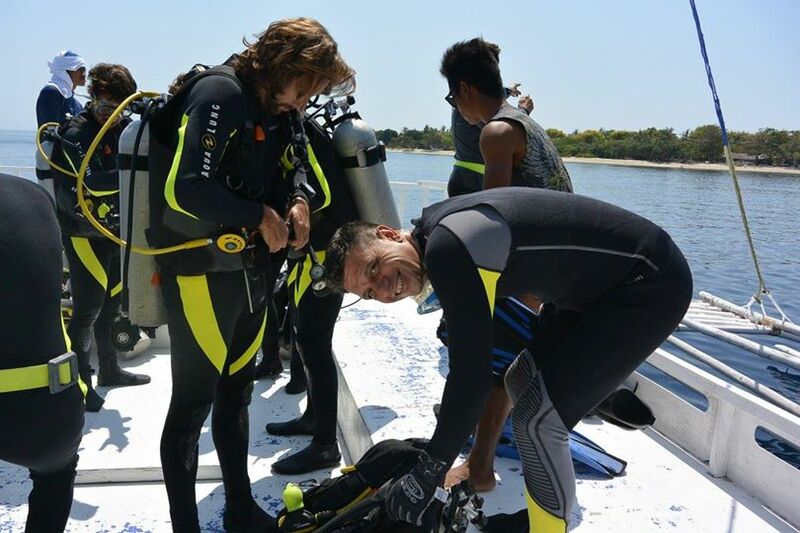 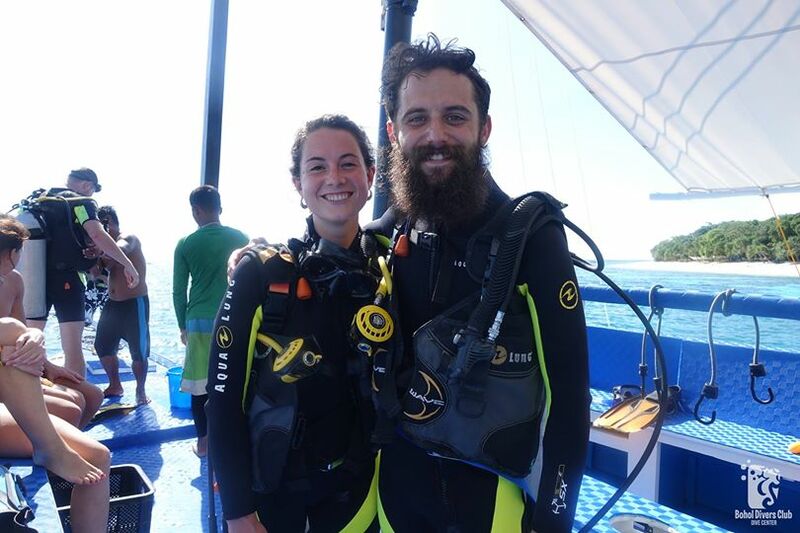 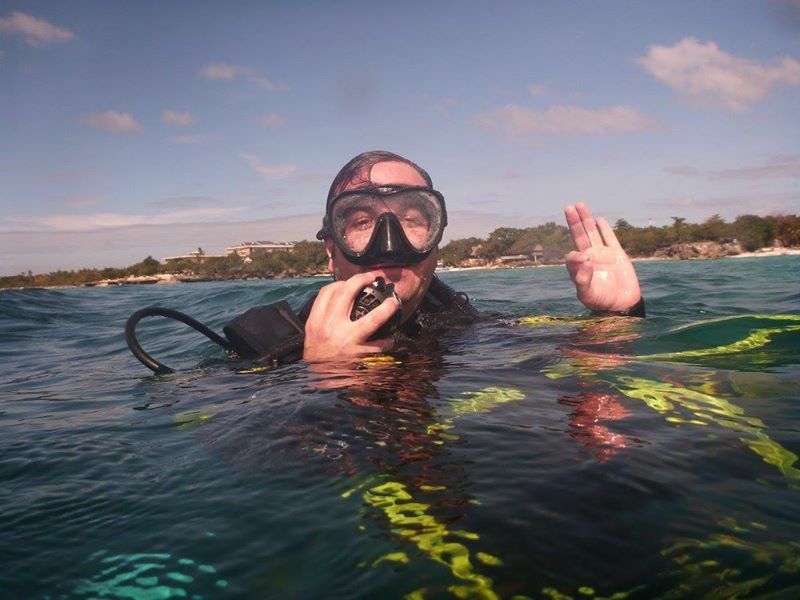 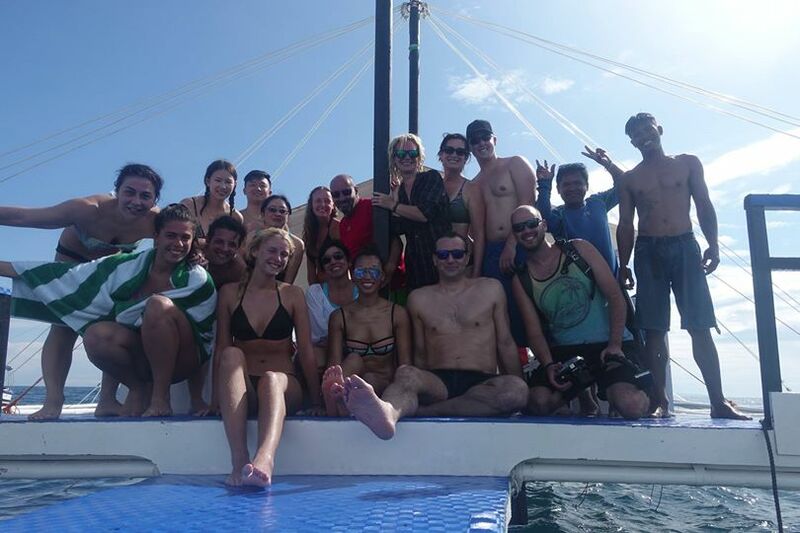 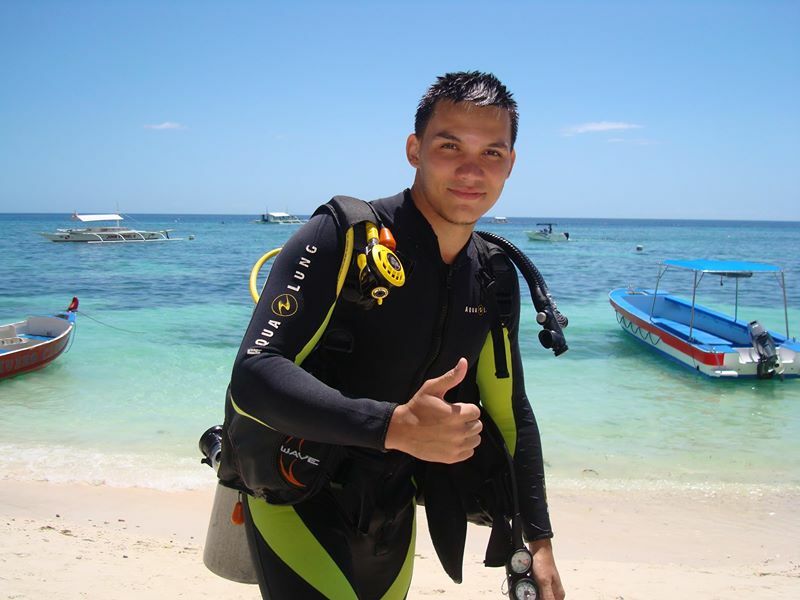 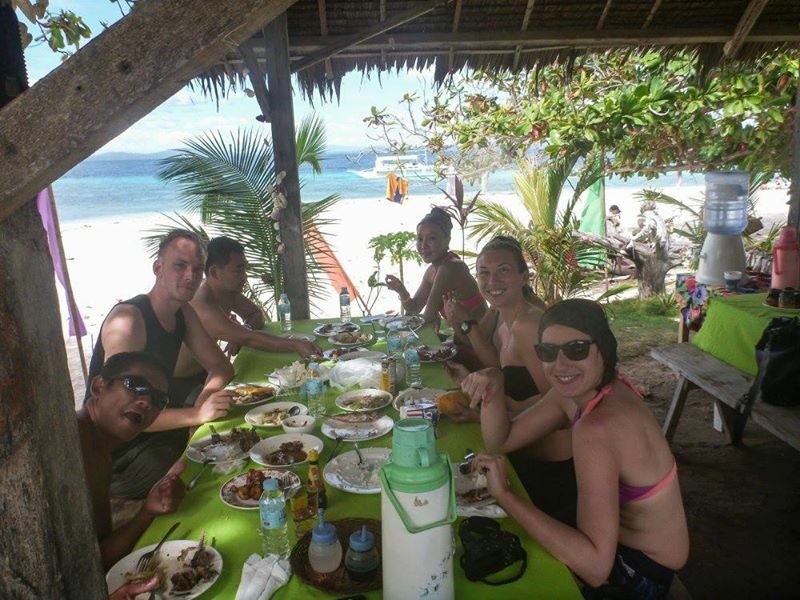 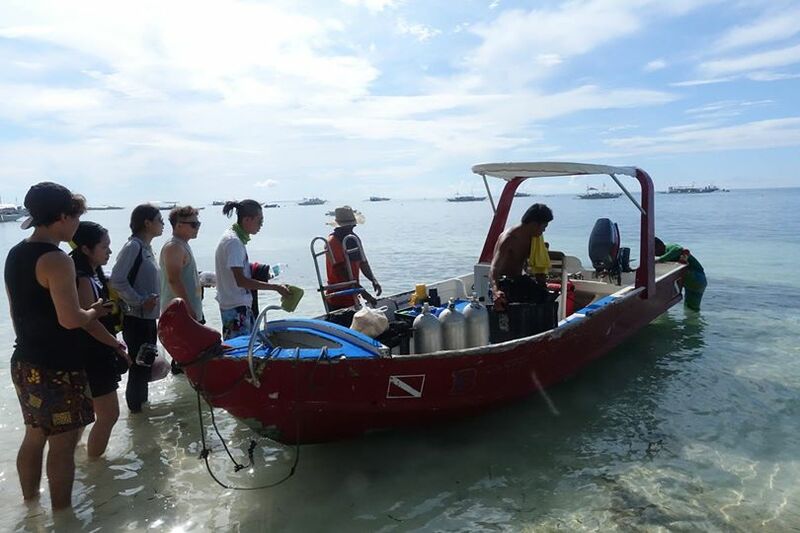 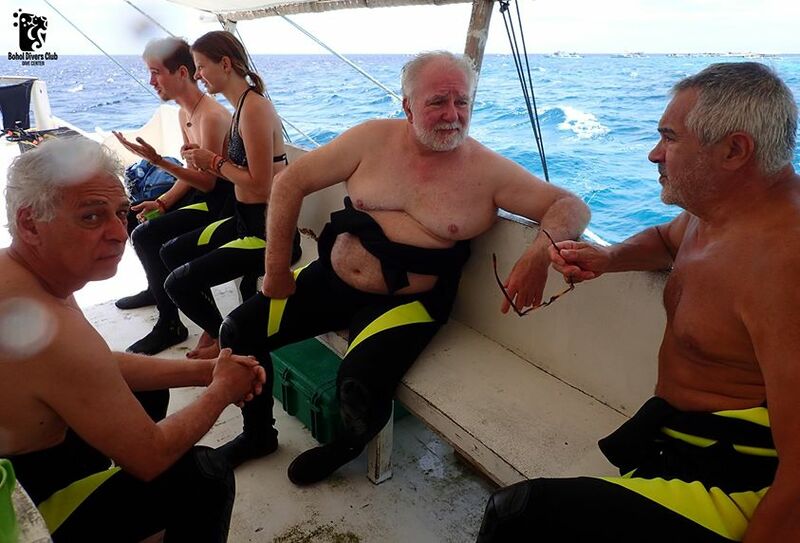 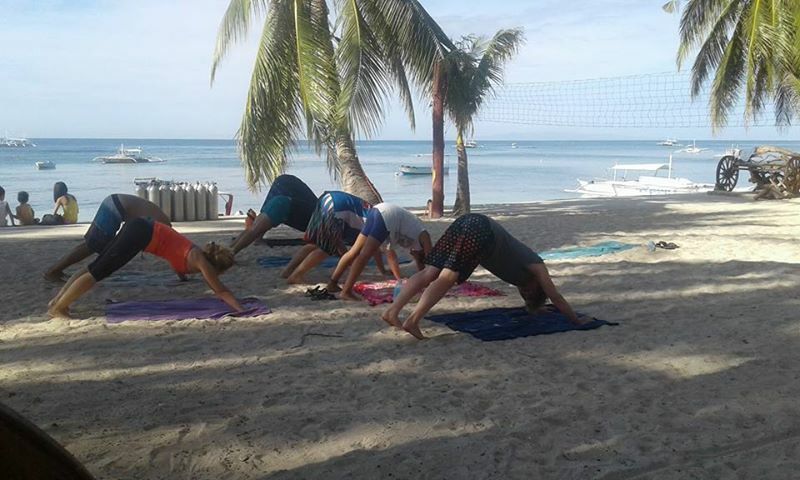 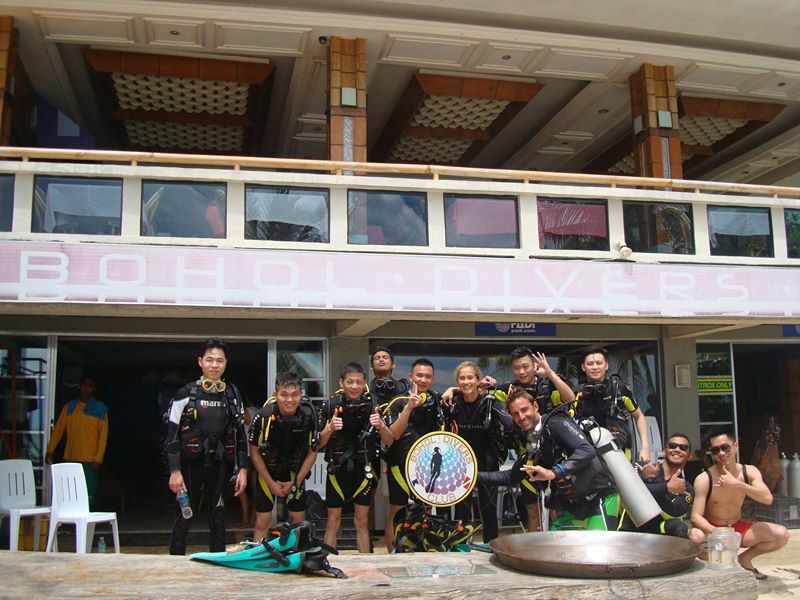 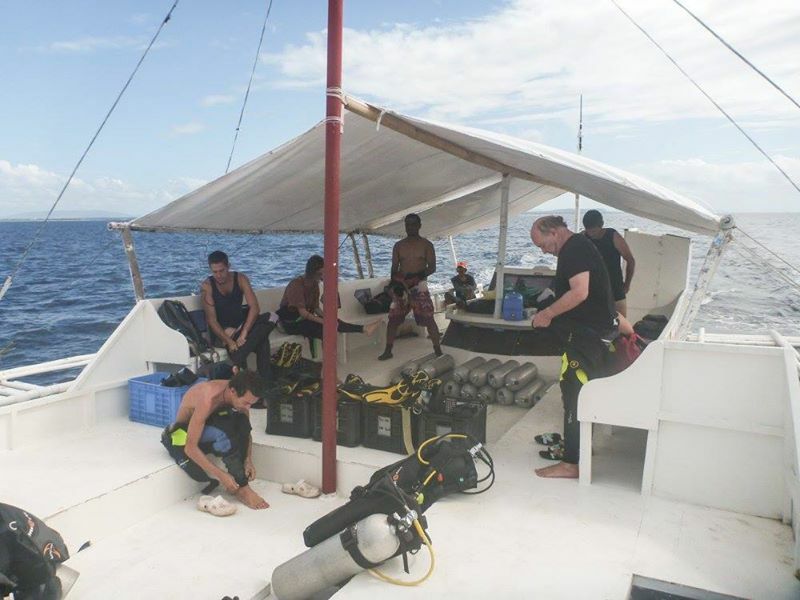 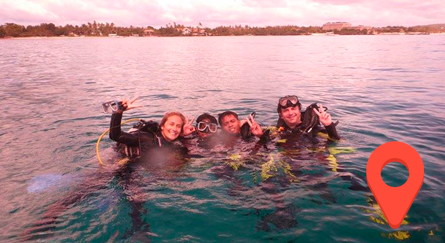 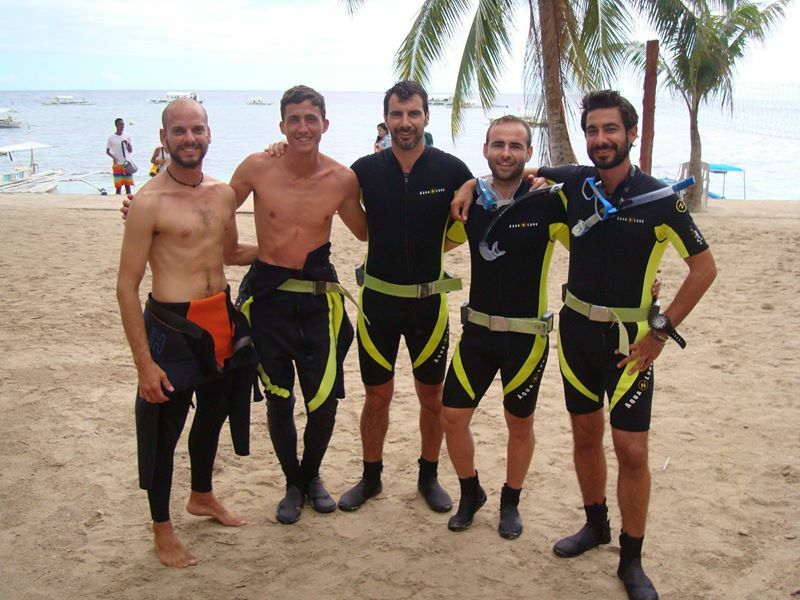 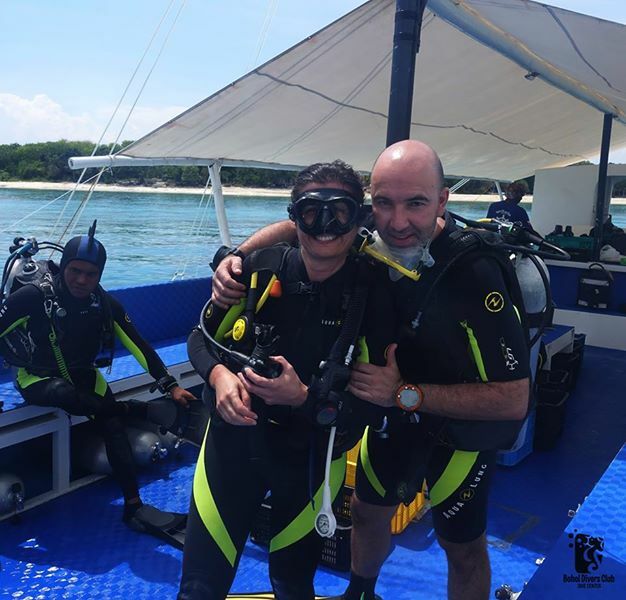 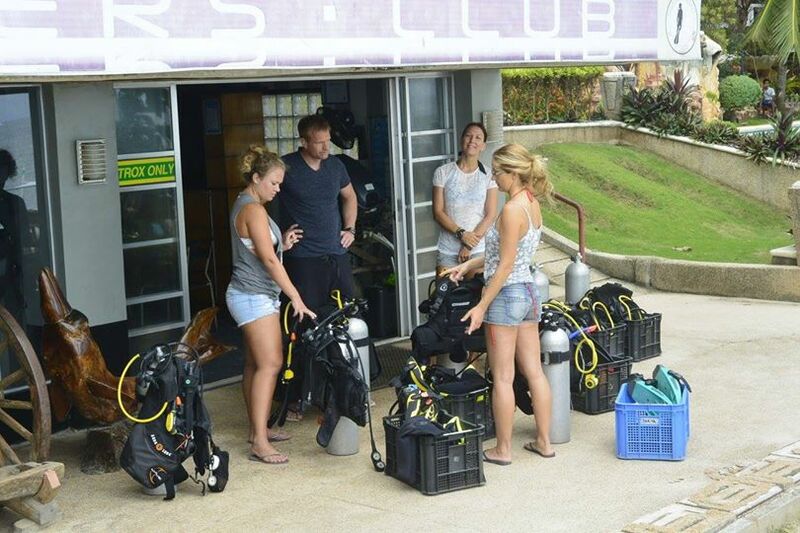 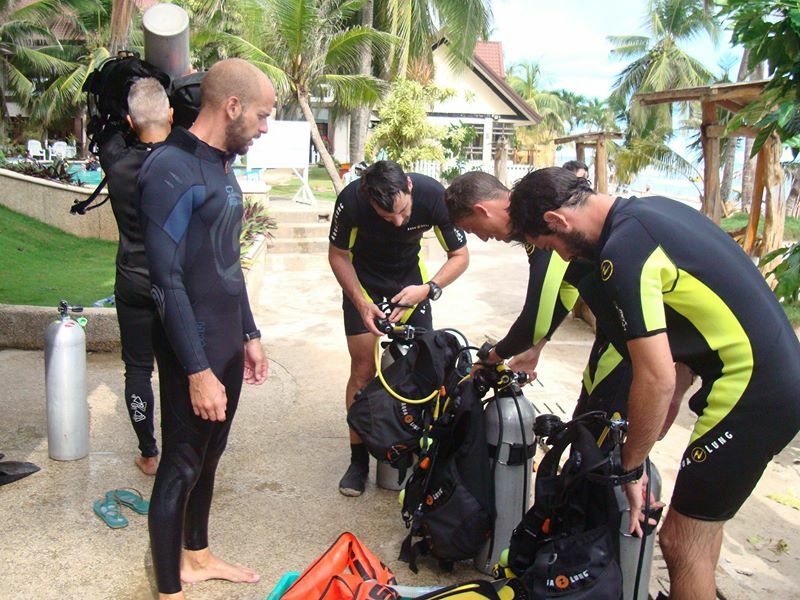 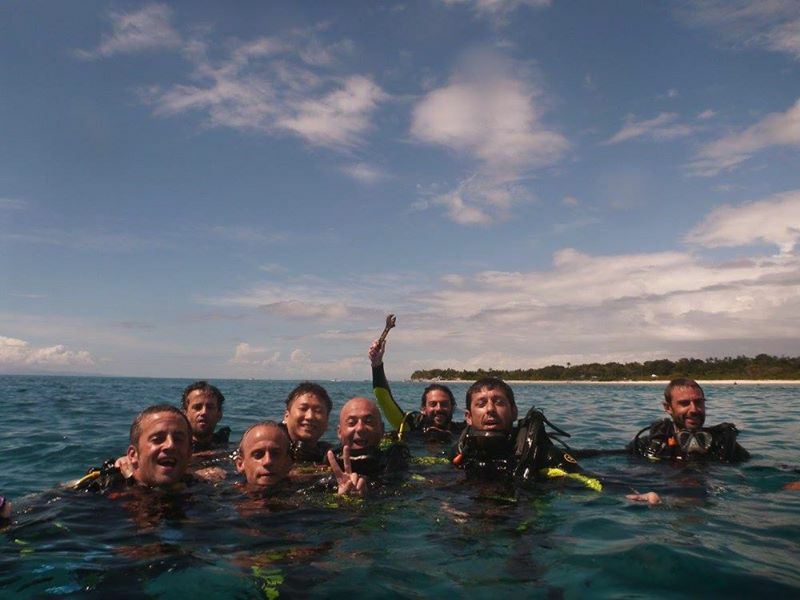 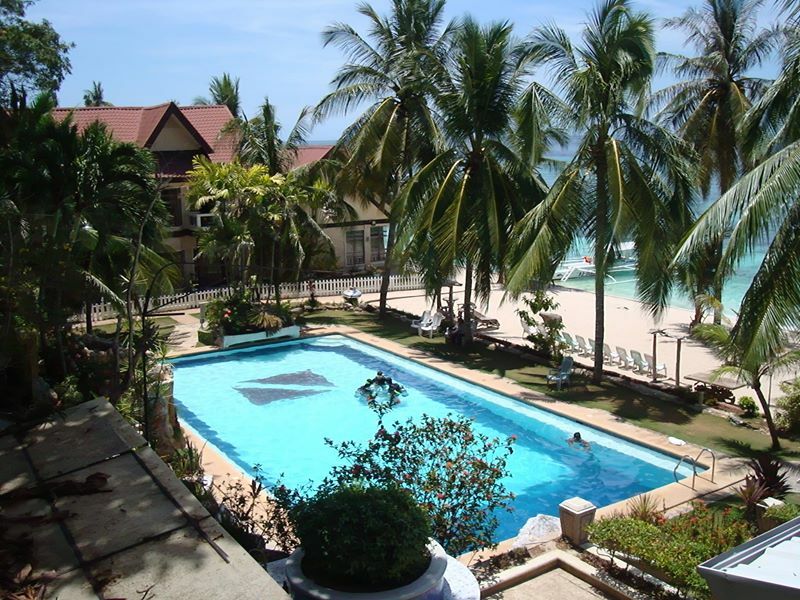 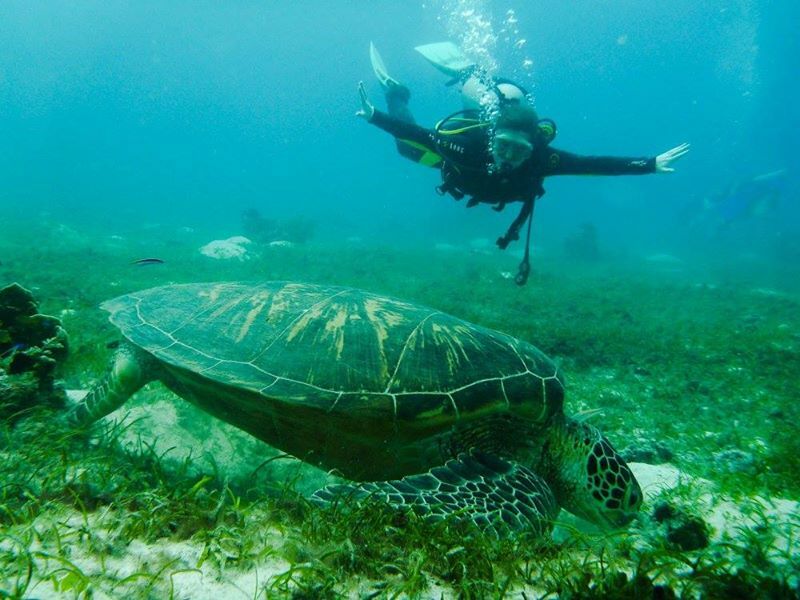 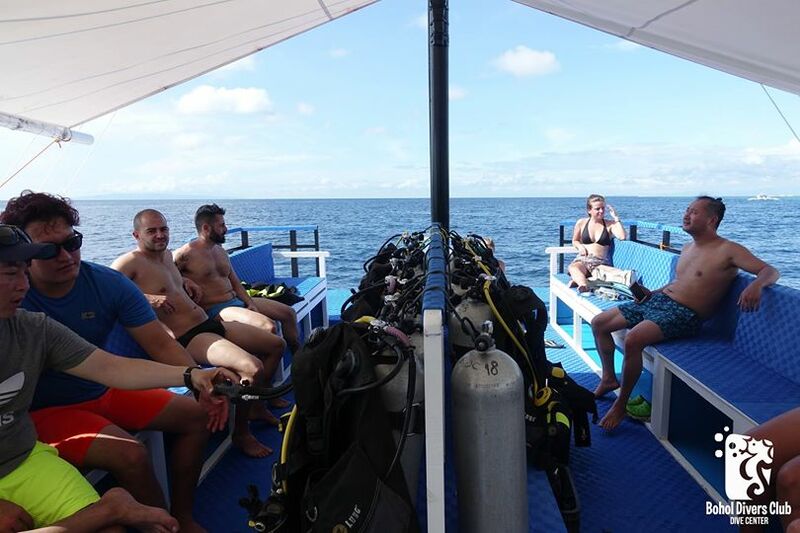 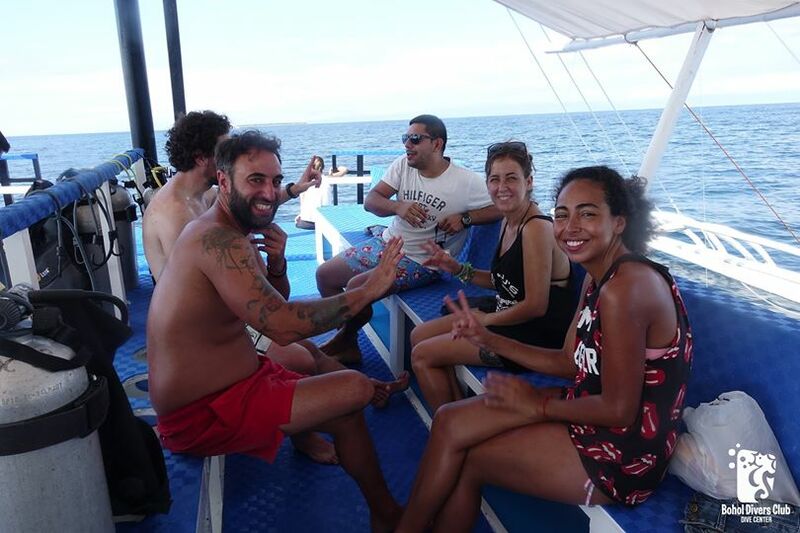 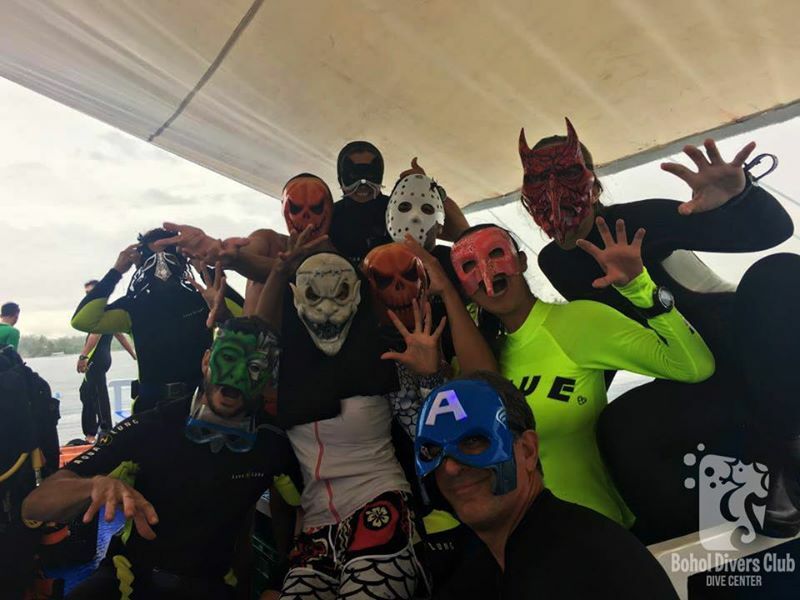 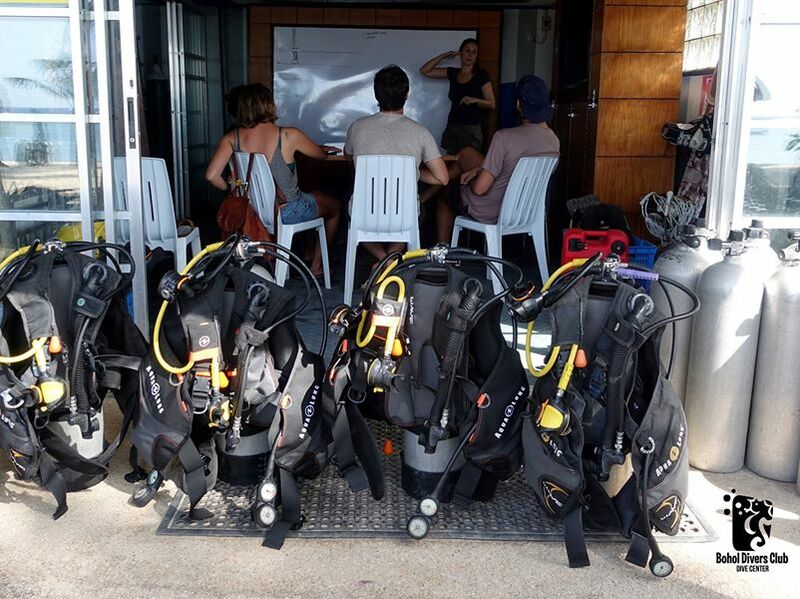 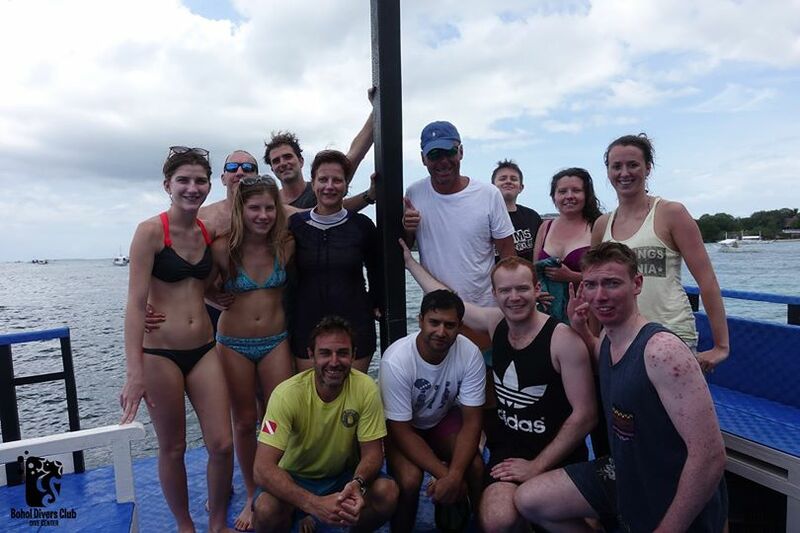 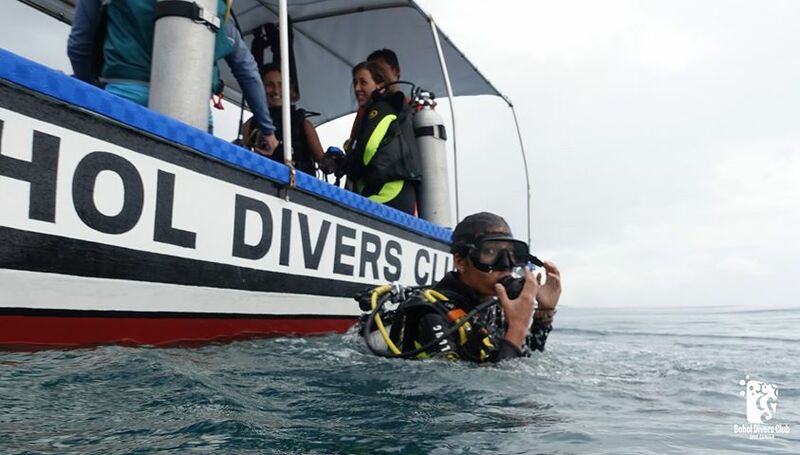 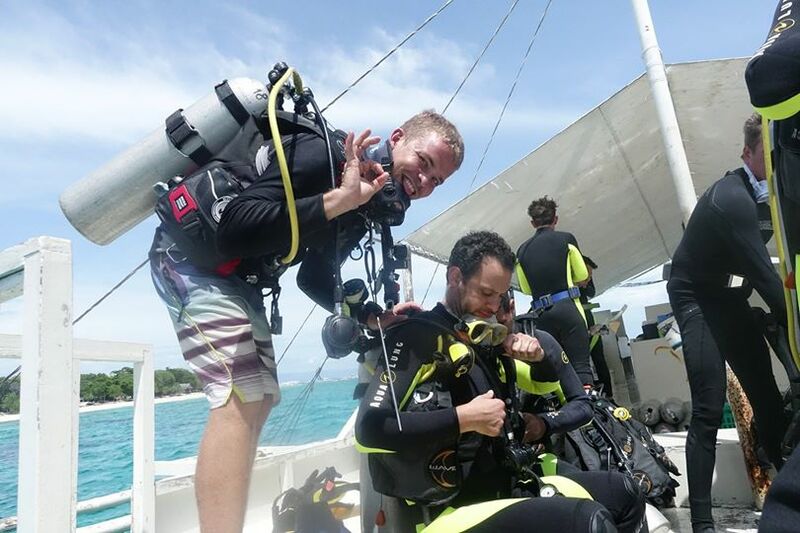 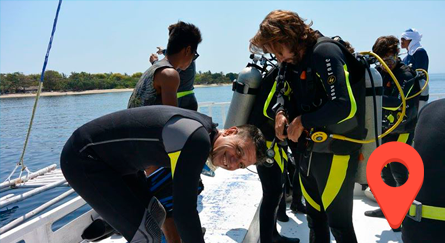 Just in front of the famous Alona Beach we have many wonderful dive spots great for all levels. 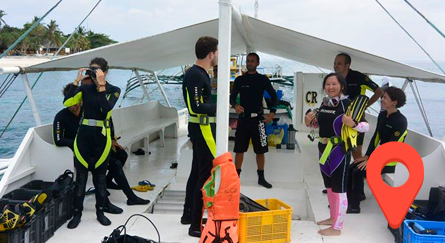 Whether you choose a wall dive, muck diving or even BDC (Bohol Divers Club) wreck, you´ll love the Philippines’ underwater scenery, within minutes of the dive center: Arco Point, Garden Eel, Kalipayan… You’ll be impressed by biodiversity, including: many different species of frog fish, sea horse, blue ring octopus… and if you are lucky, maybe even a whale shark! 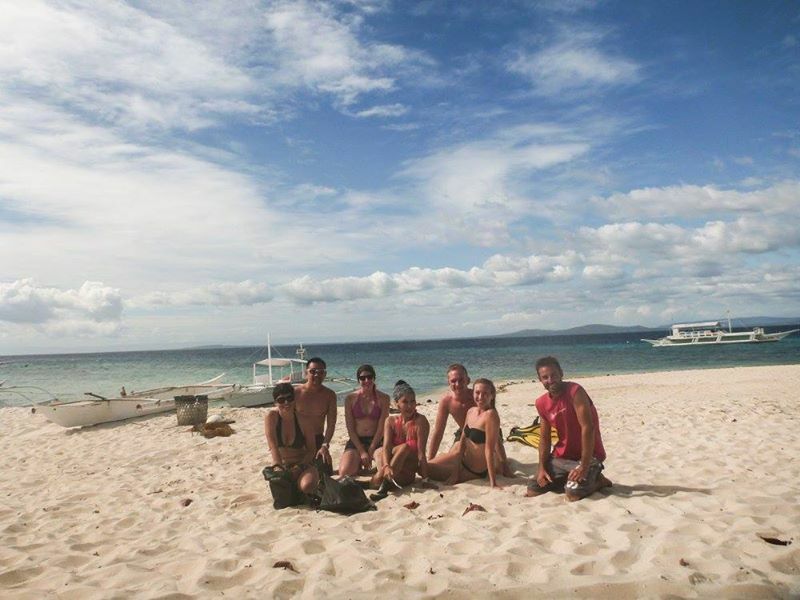 Balicasag Island is located 12 kilometers away from Alona Beach. 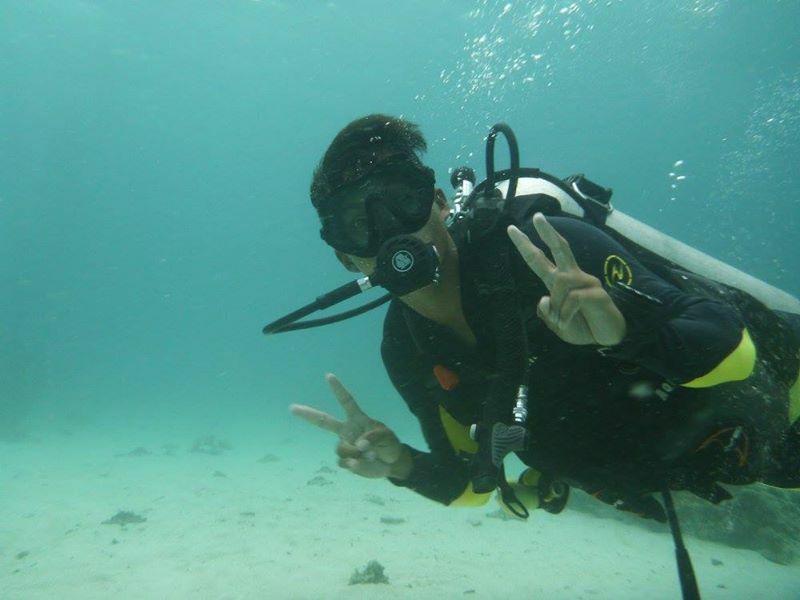 Its name means upside down (bali) crab (casag) maybe because of its shape. 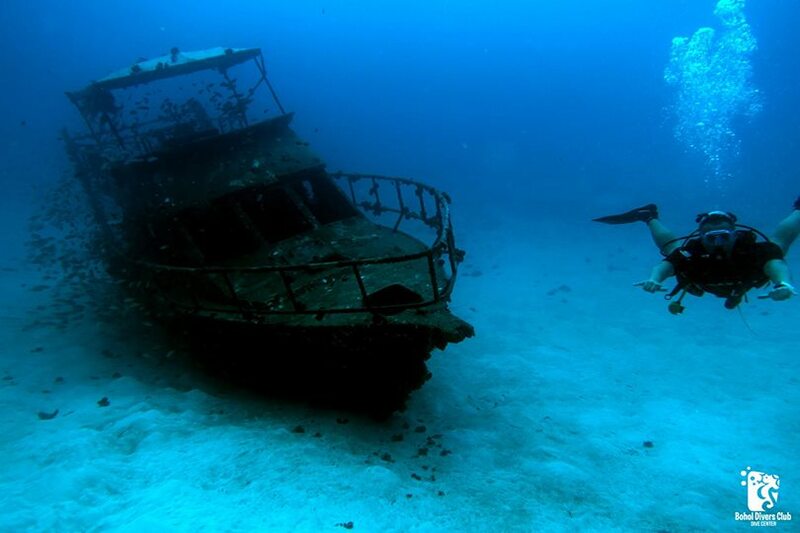 Nowadays it is a protected spot where only 300 divers per day are allowed and fishing is restricted. 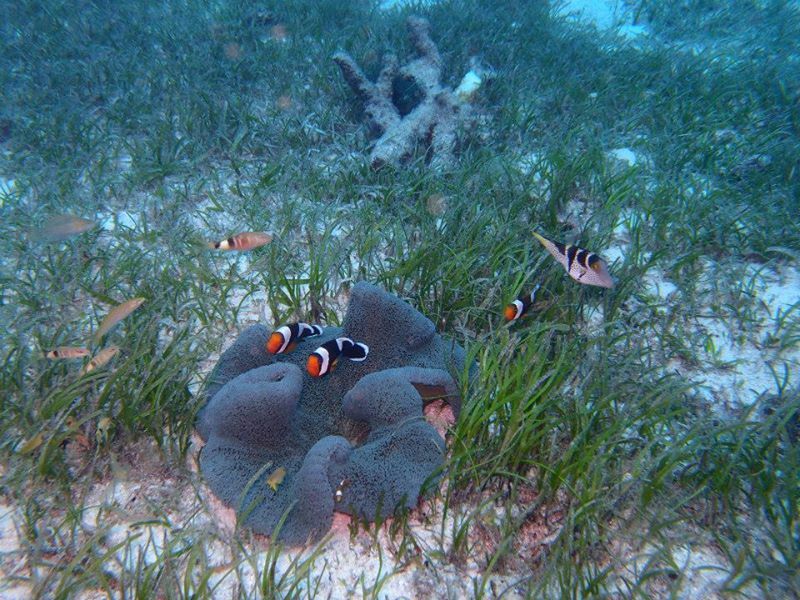 Over the last few years it is noticeable how the amount of marine life is growing up more and more! 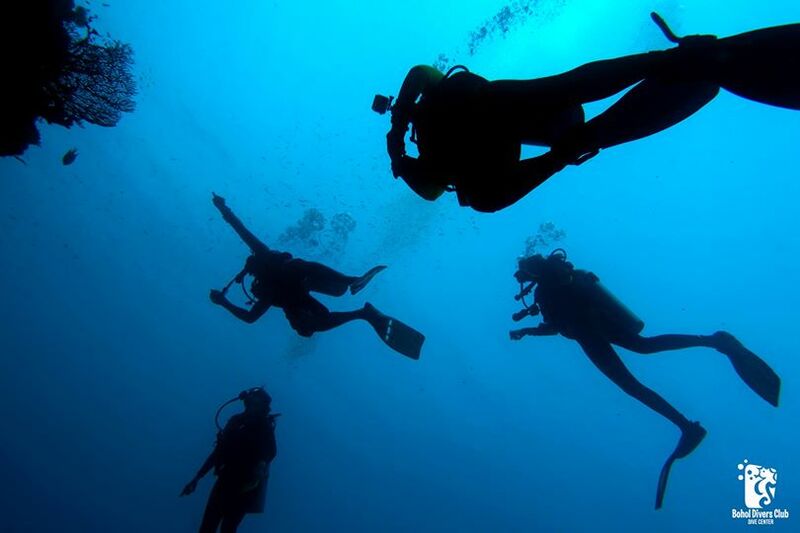 Here there are two types of dive: wall dive and slope. 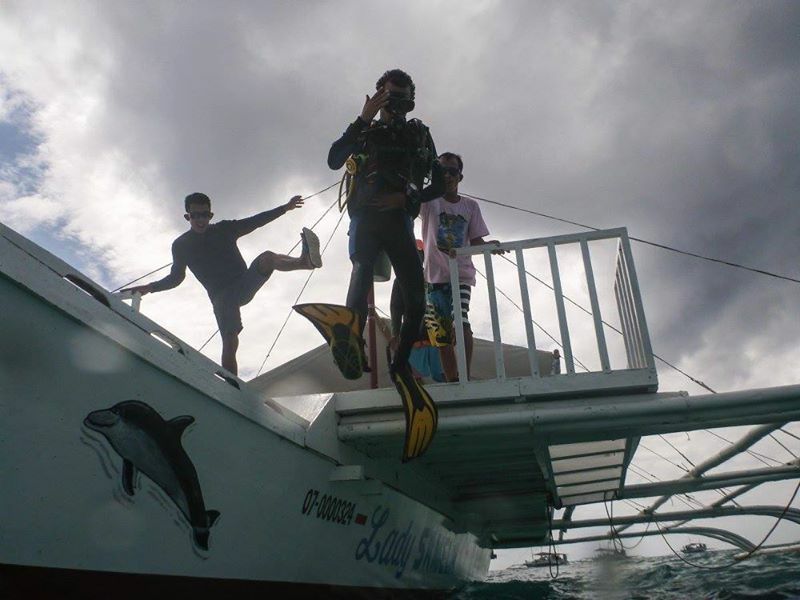 According to the Panglao Municipality there are 5 dive spots: Black forest, Balicasag Sanctuary, Diver’s Heaven, Rudy’s Rock and Royal Garden. 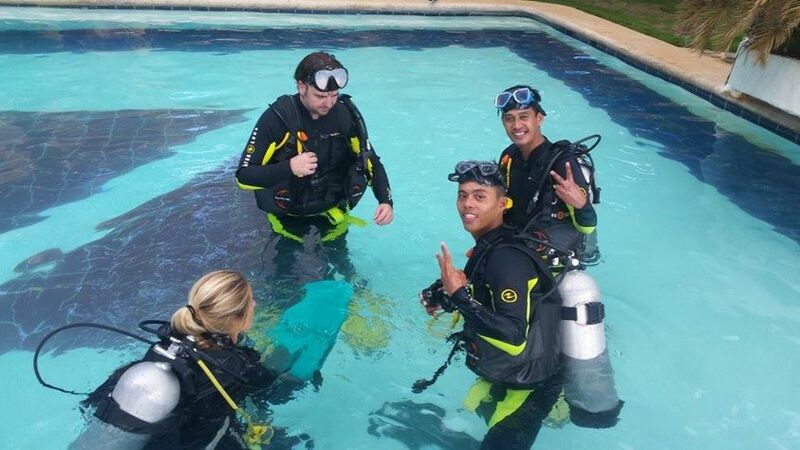 But there are also dive masters adding as dive spots Cathedral and Rico’s wall. 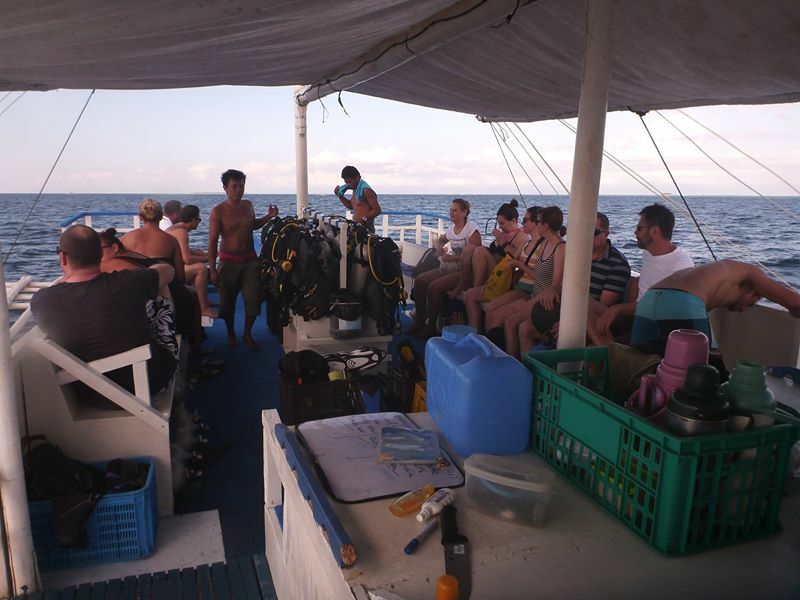 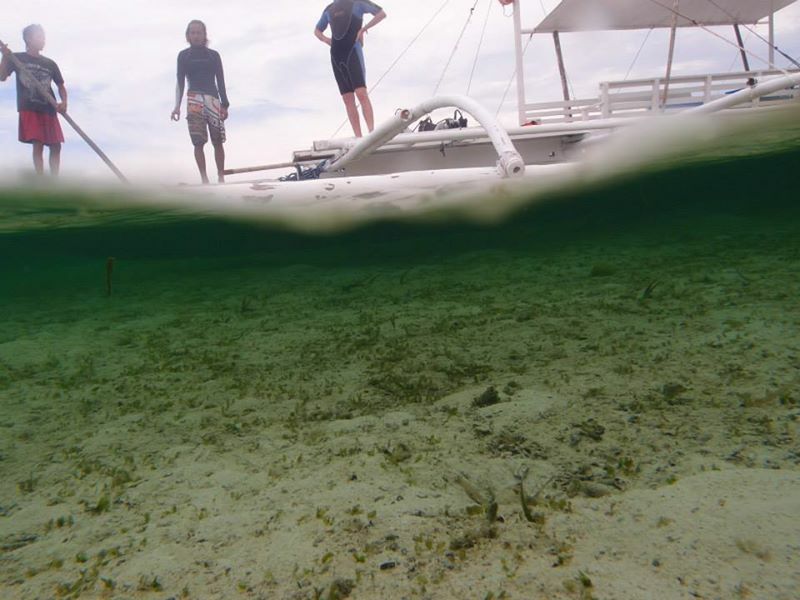 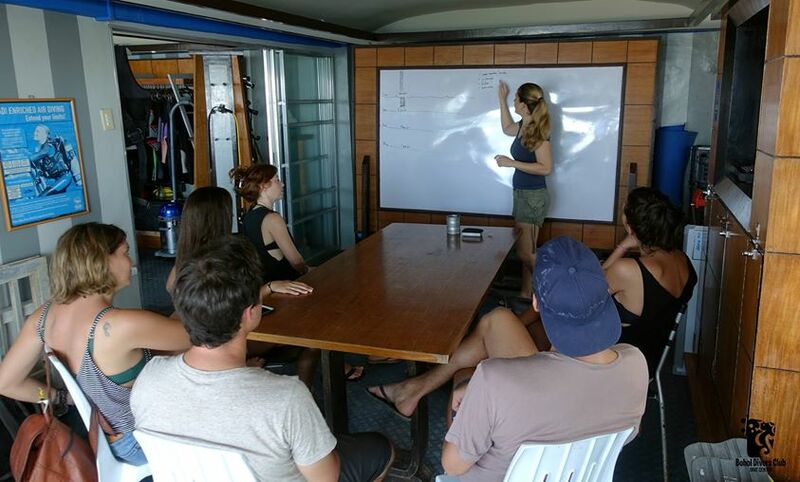 To dive on Balicasag we usually depart at 8 am to dive 2 or 3 sites and come back between 1 and 3 pm. 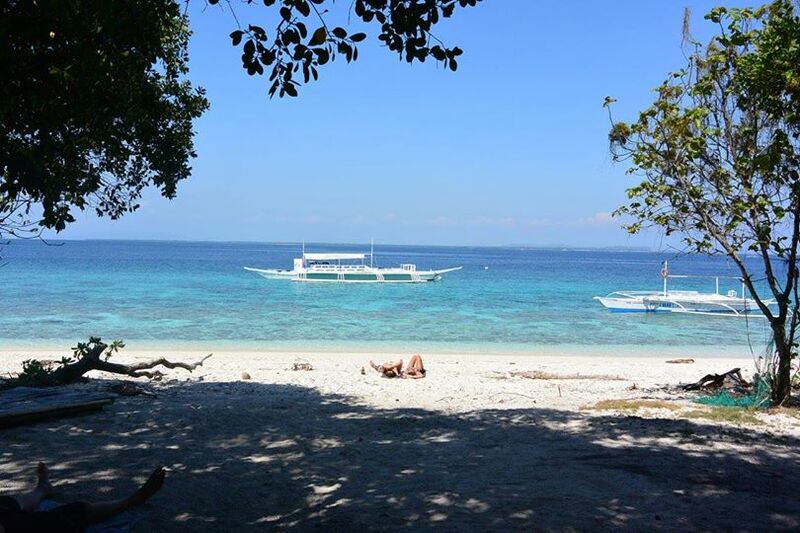 The boat ride, on a traditional Philippine ‘banca’ boat, takes around 20 to 30 minutes.